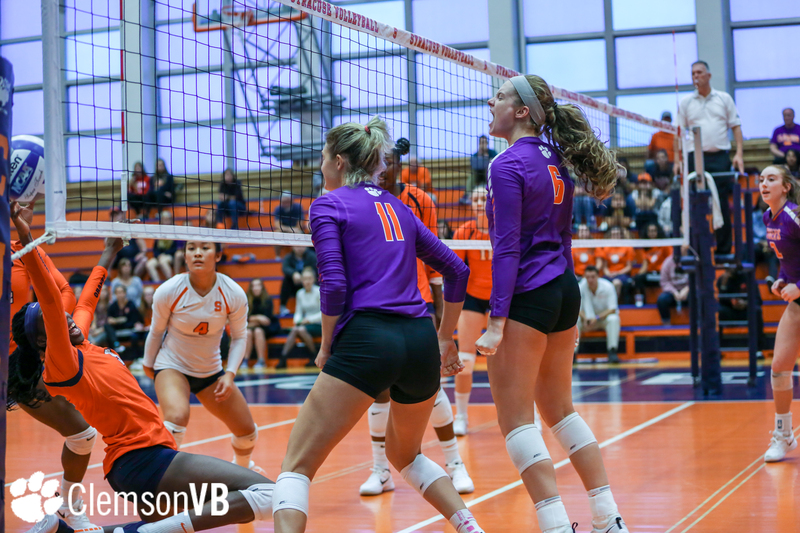 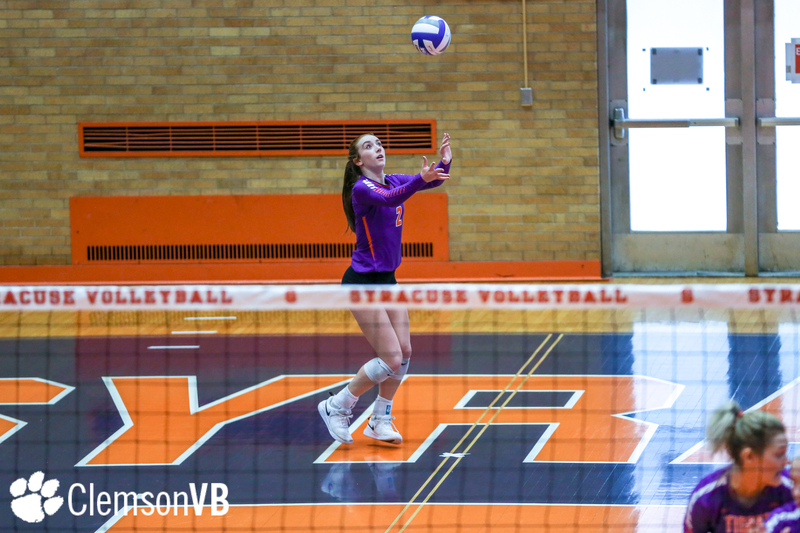 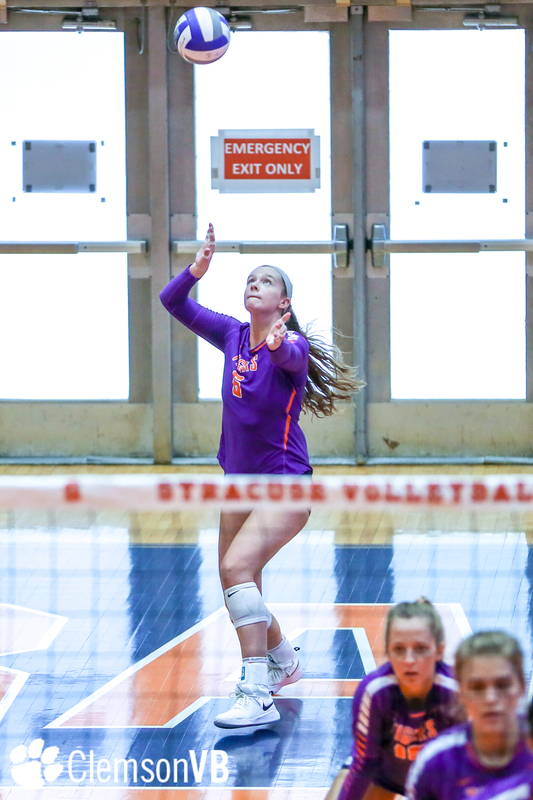 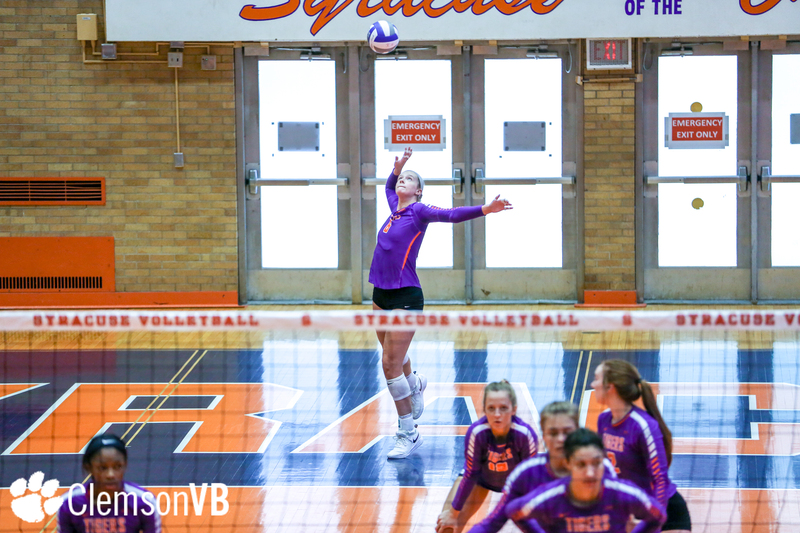 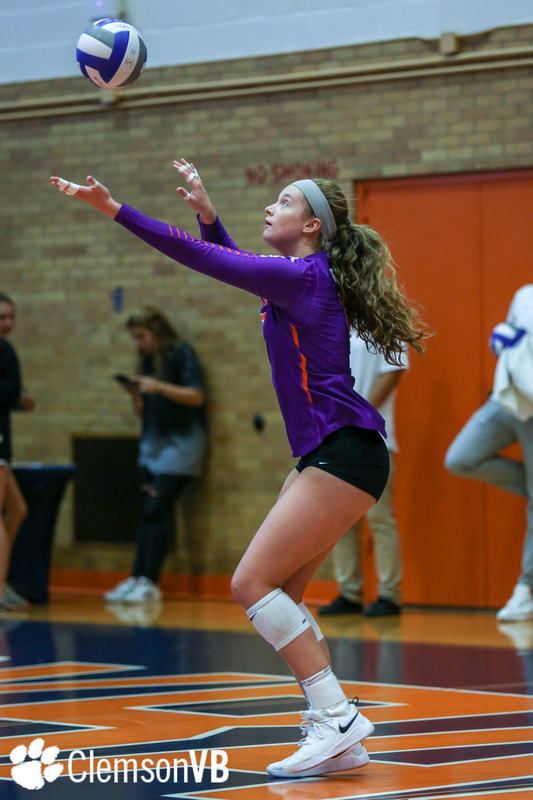 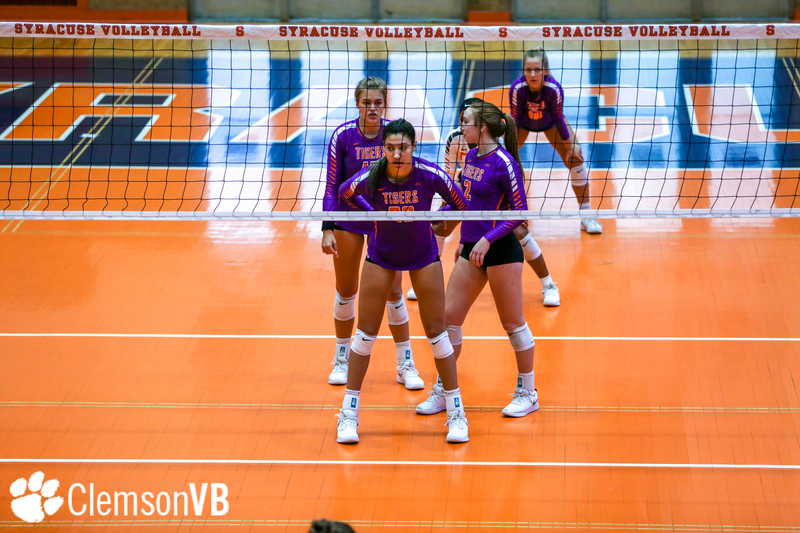 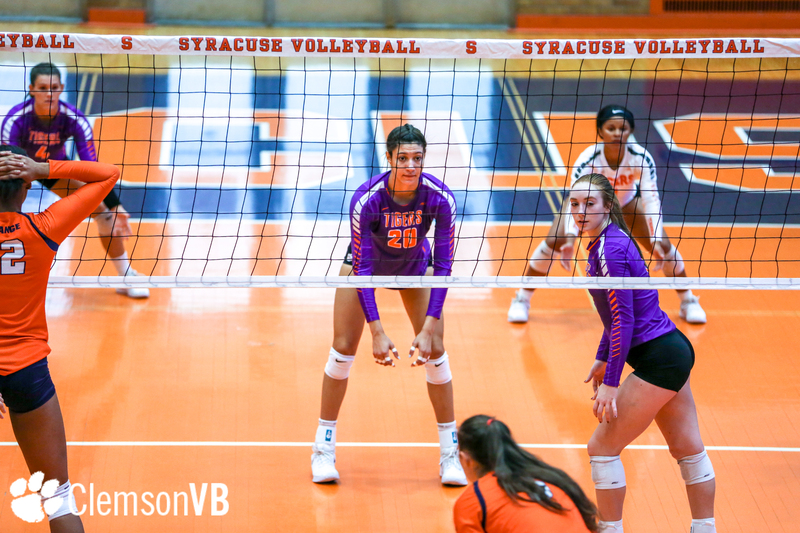 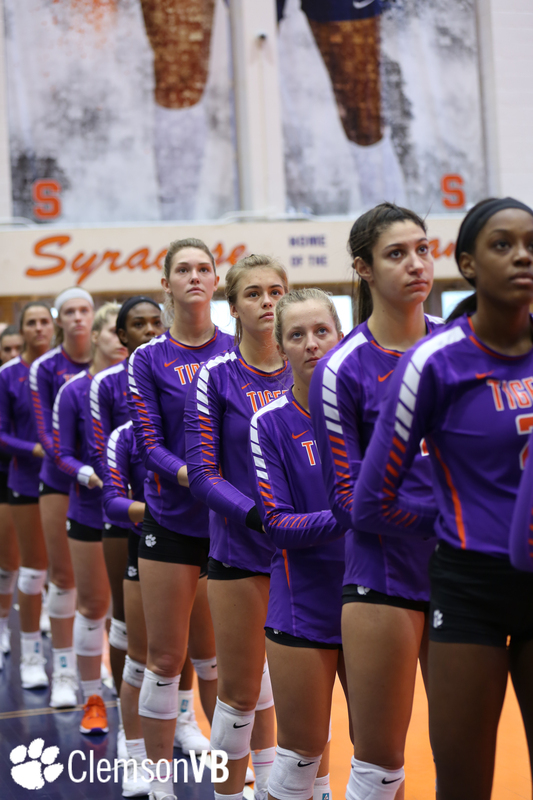 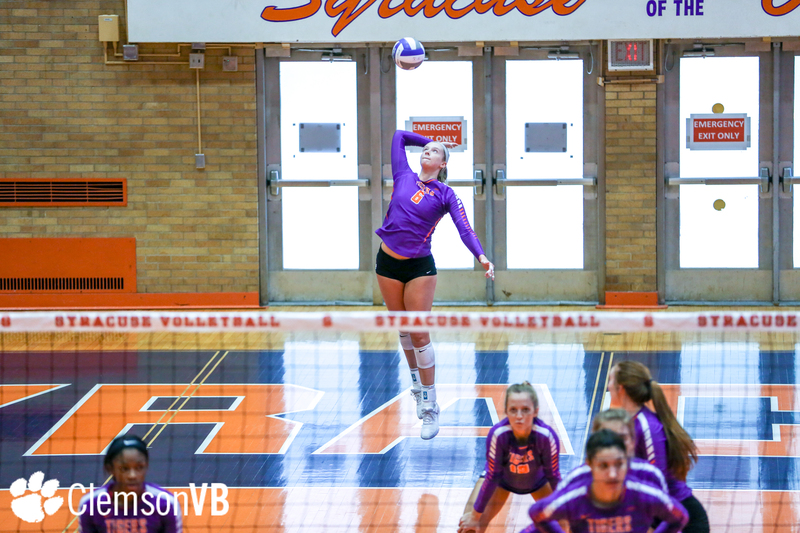 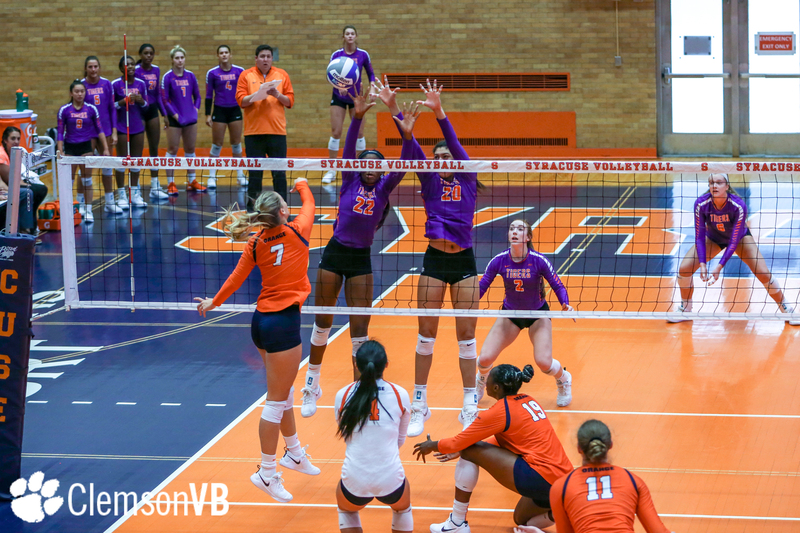 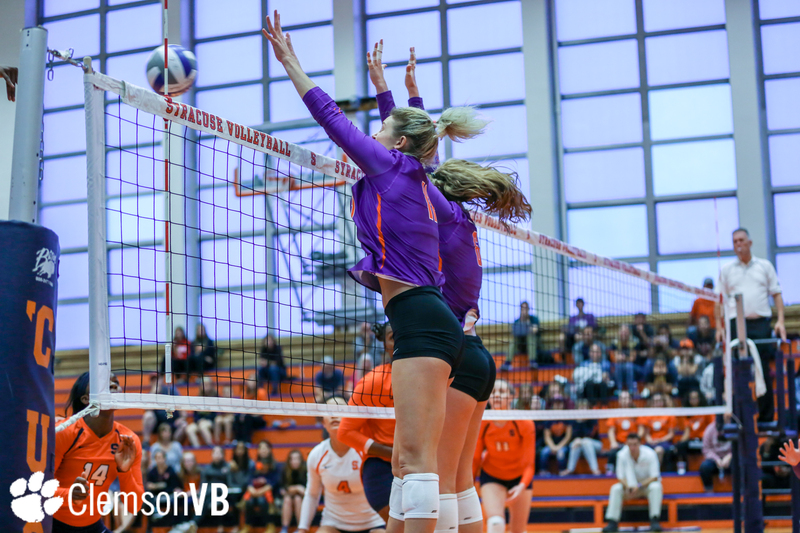 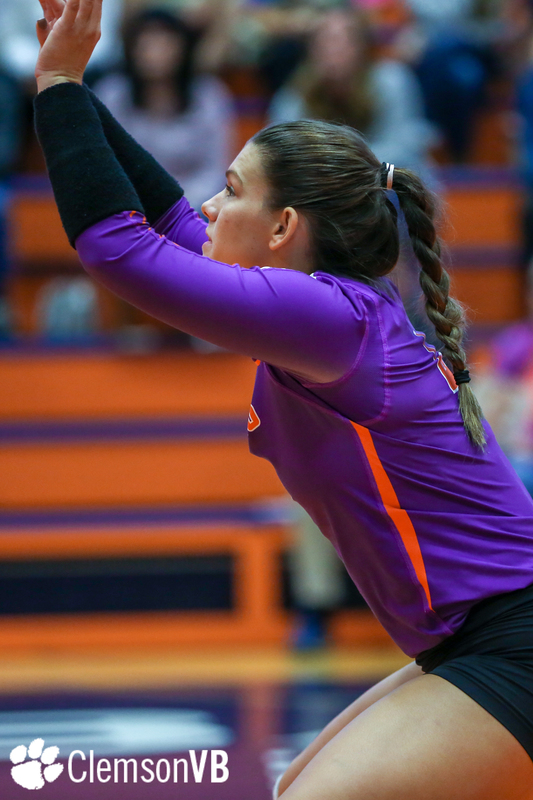 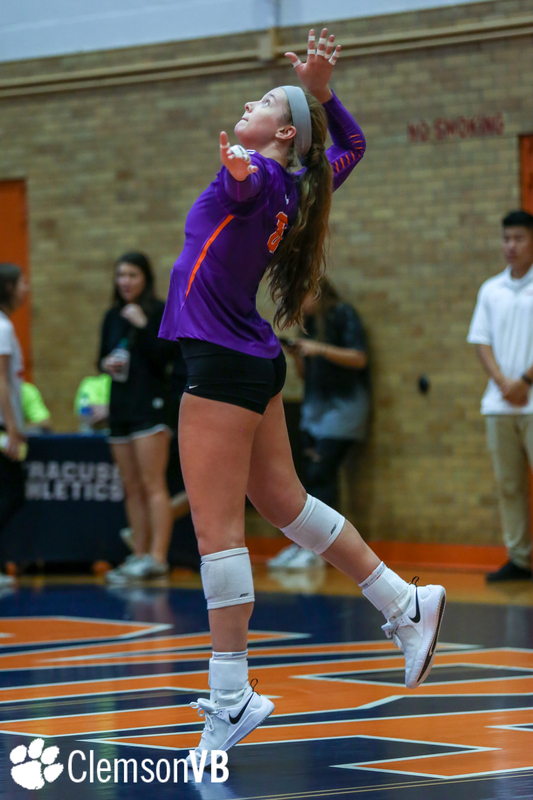 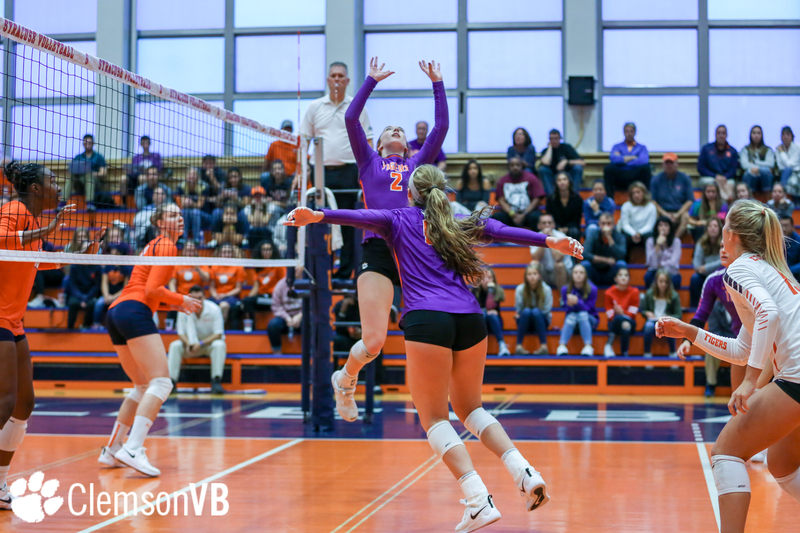 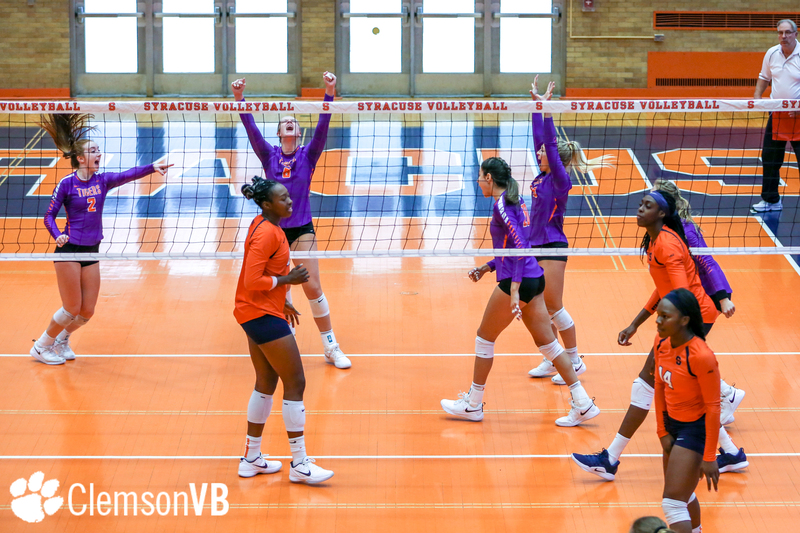 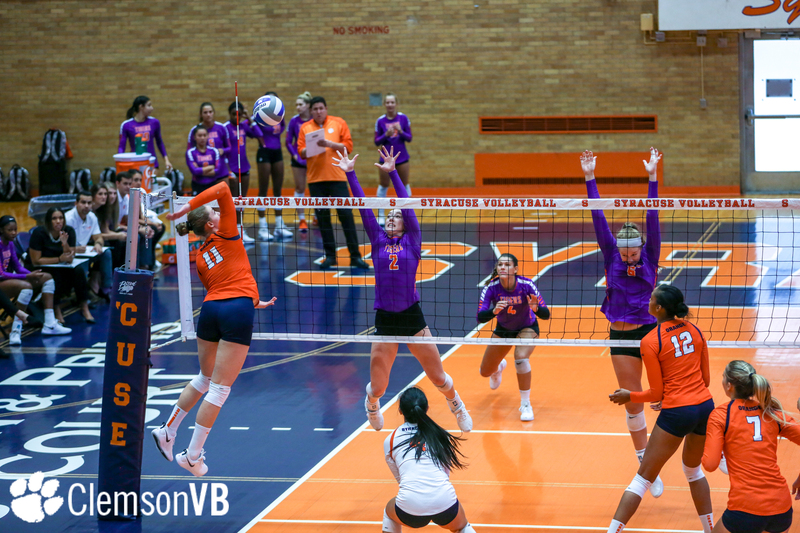 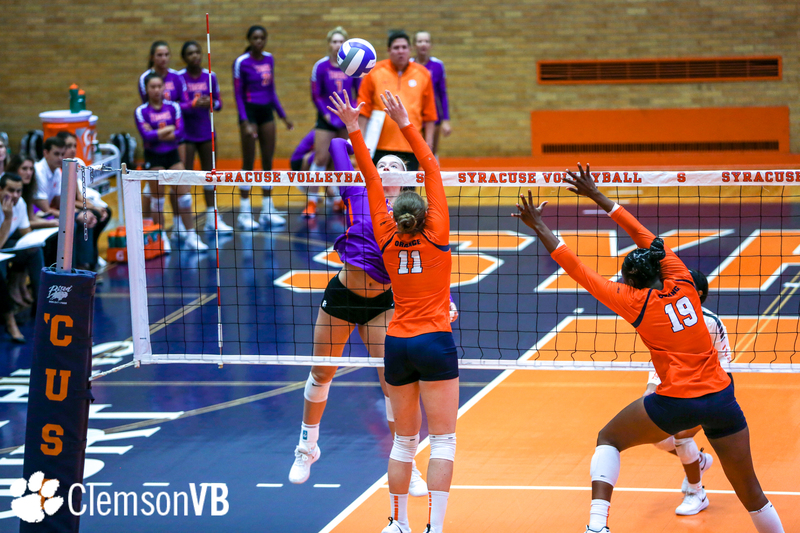 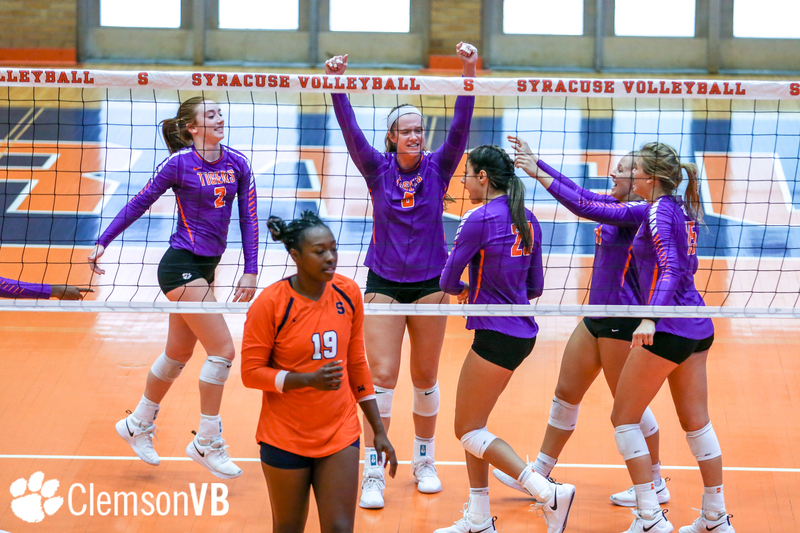 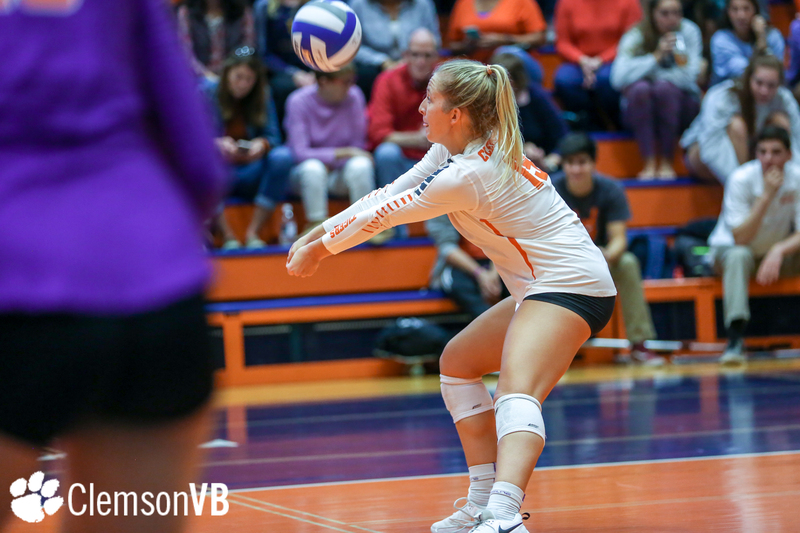 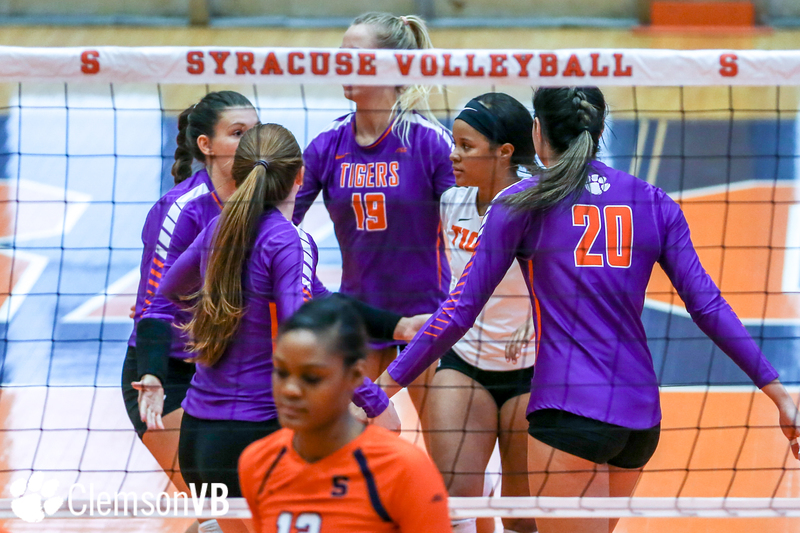 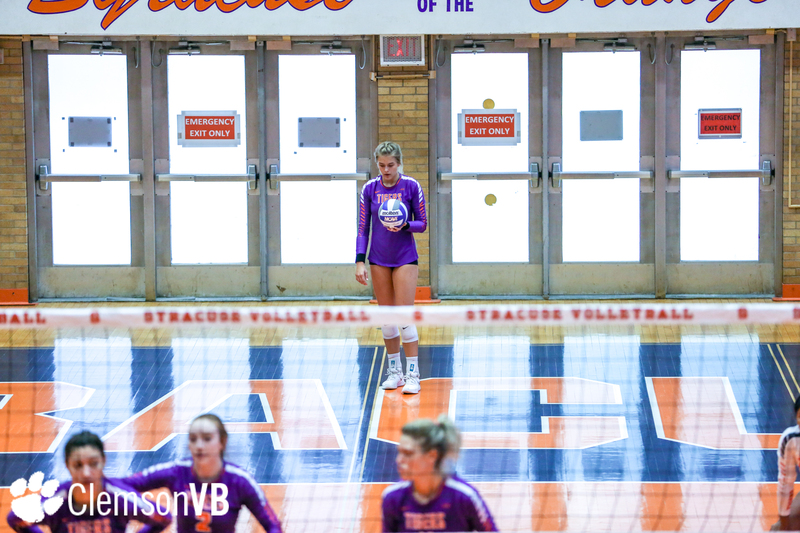 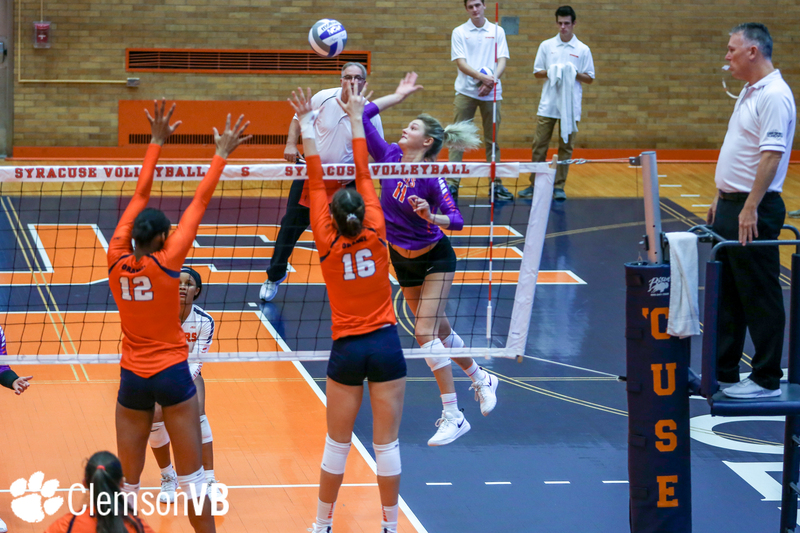 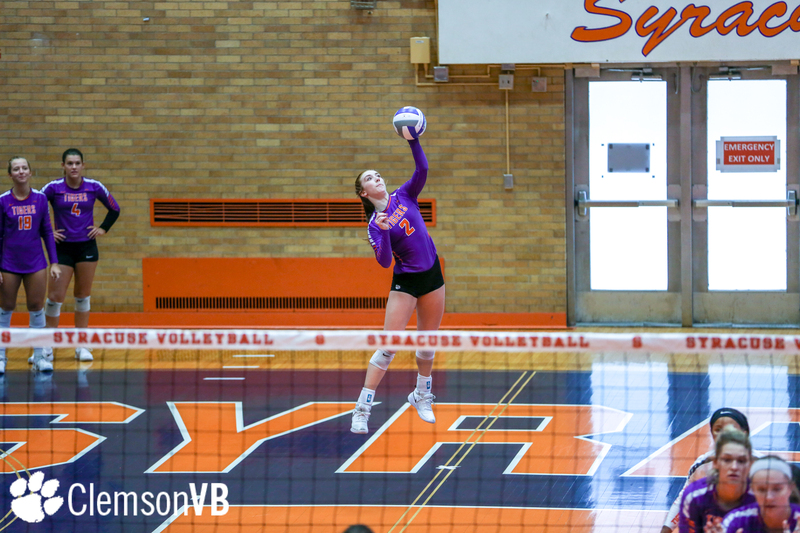 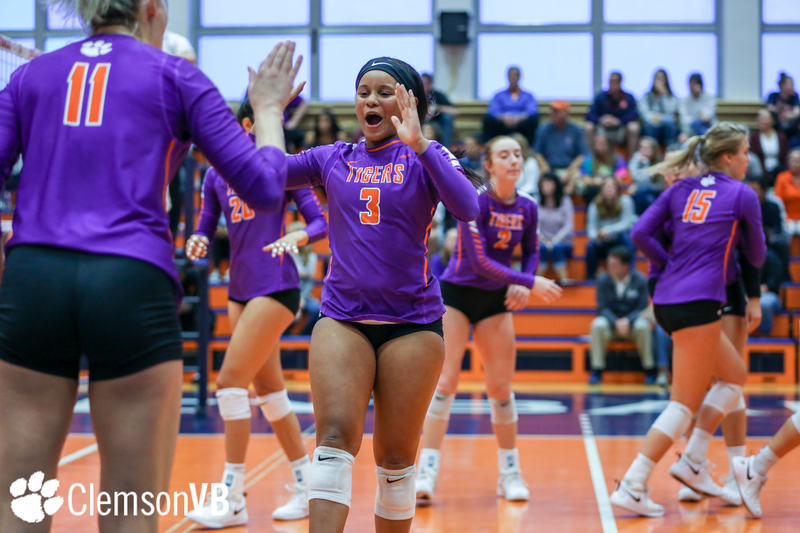 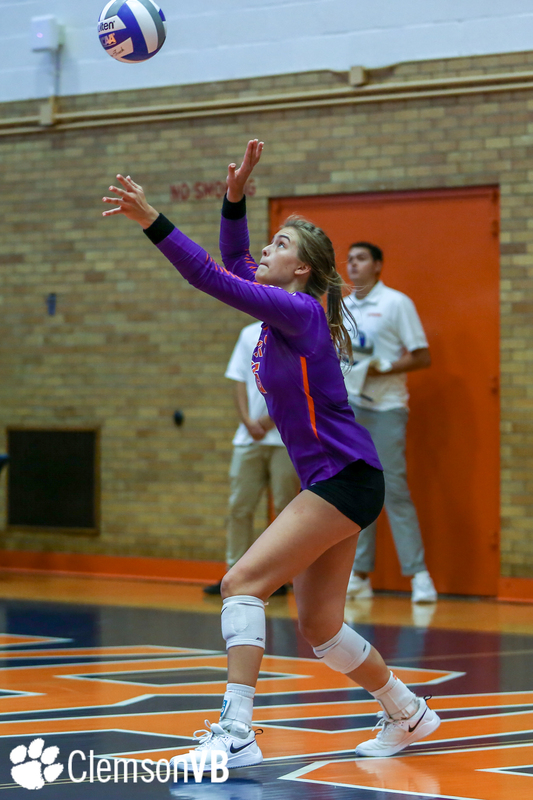 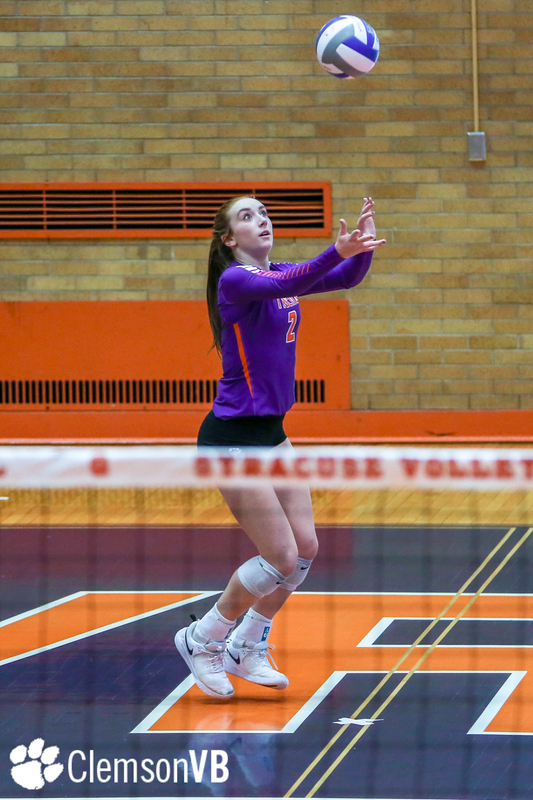 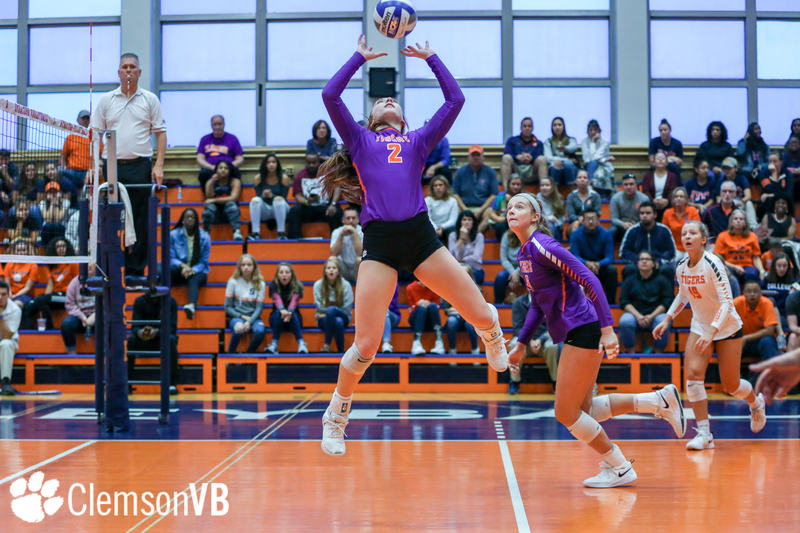 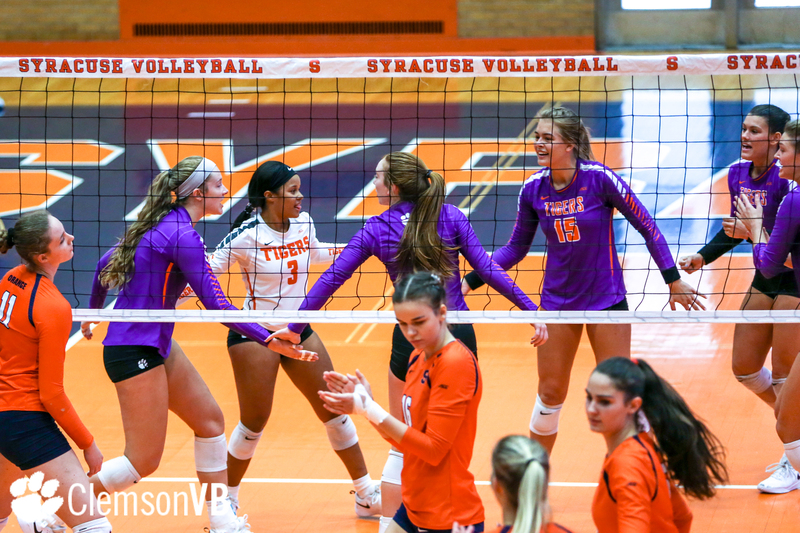 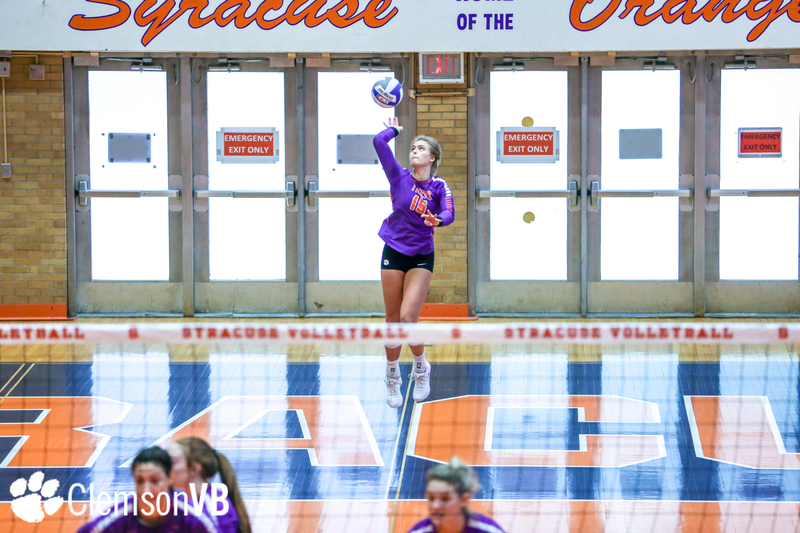 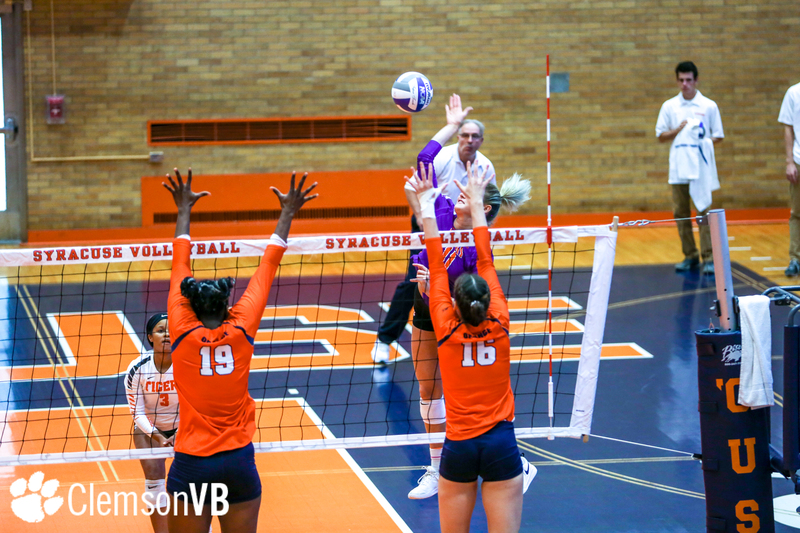 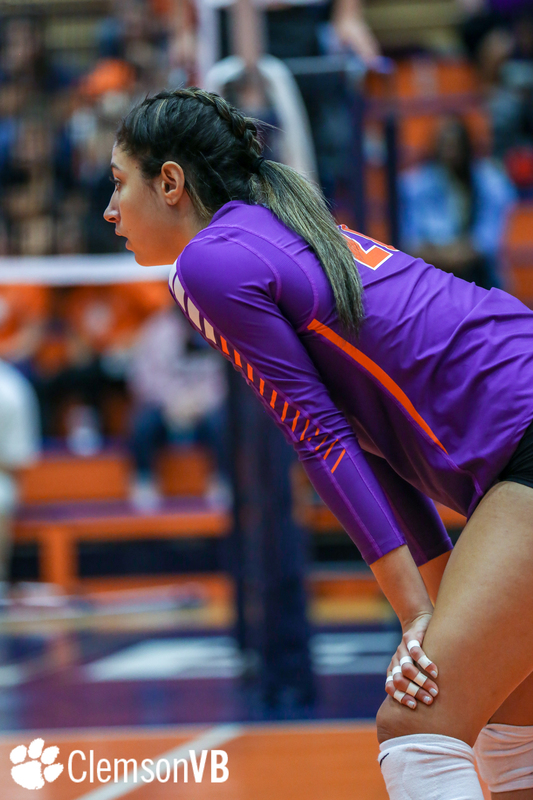 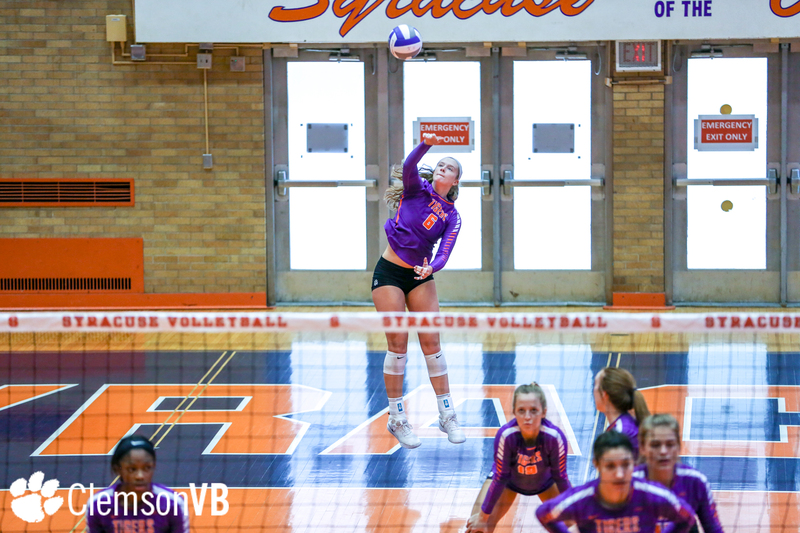 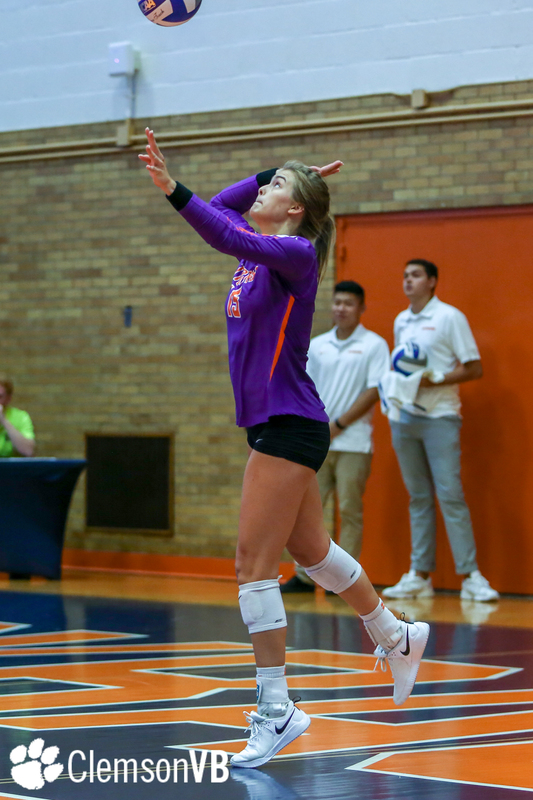 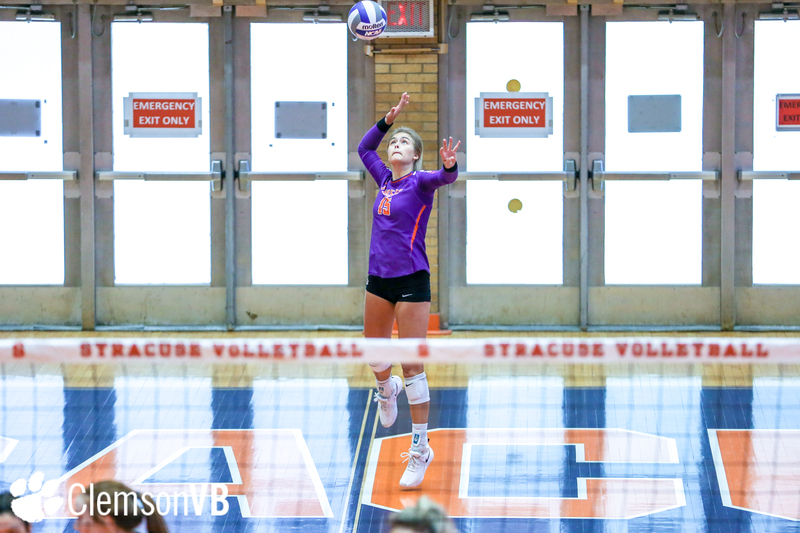 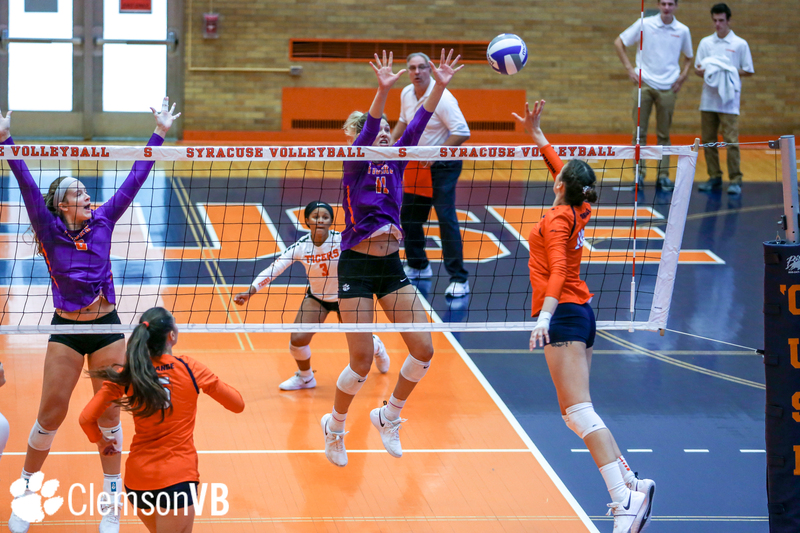 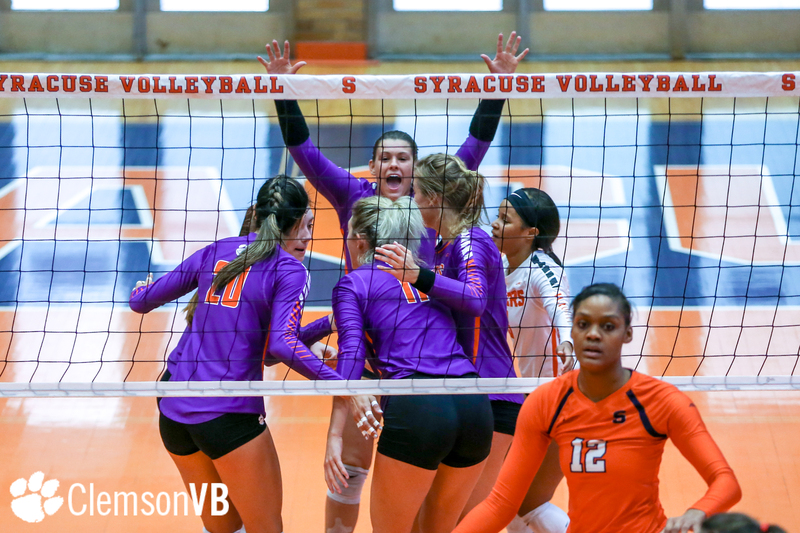 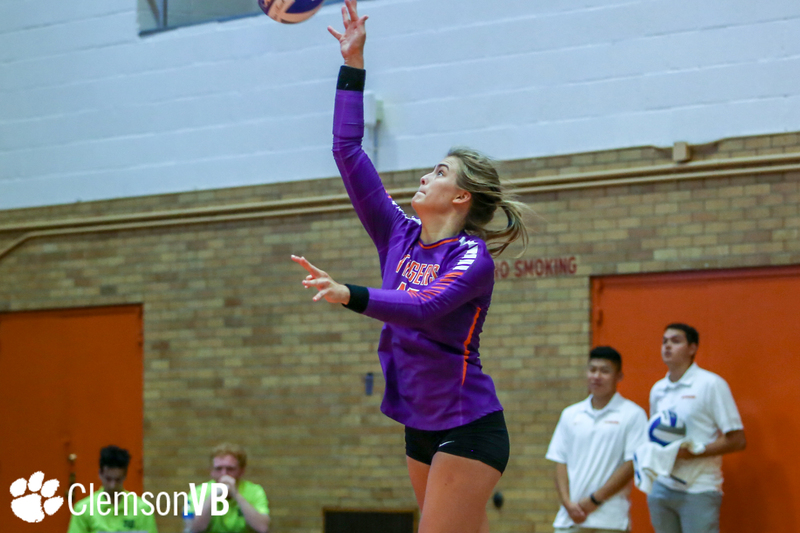 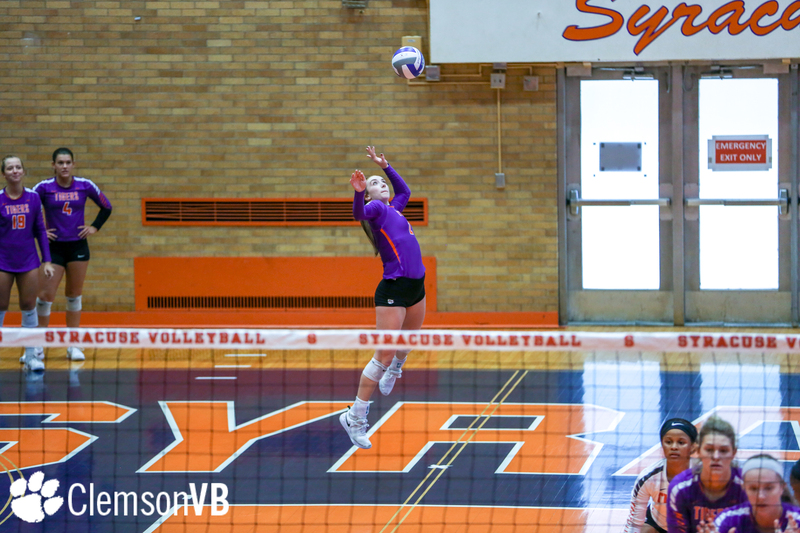 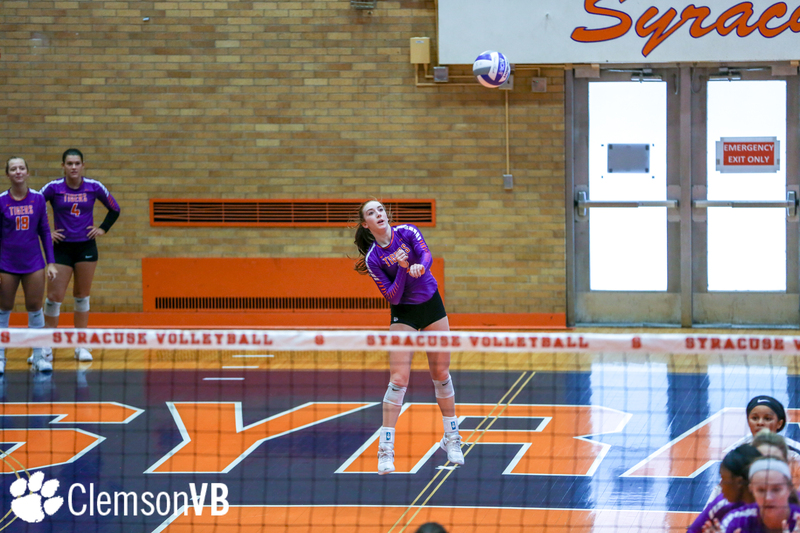 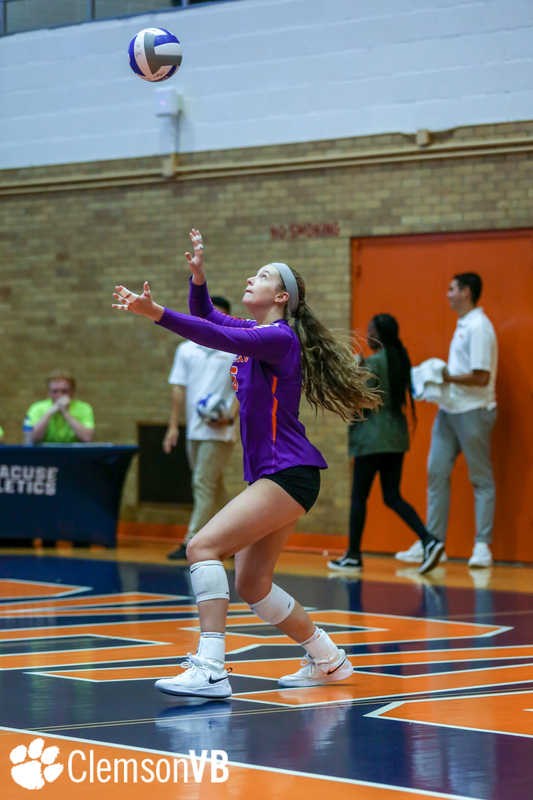 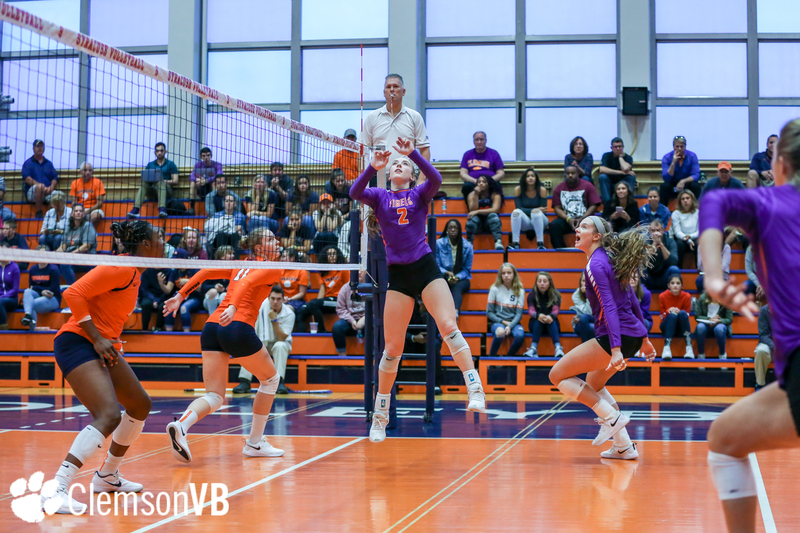 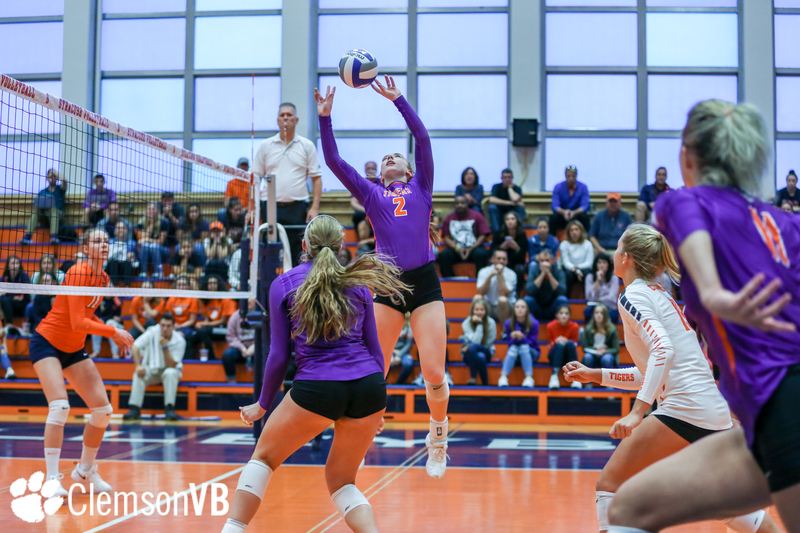 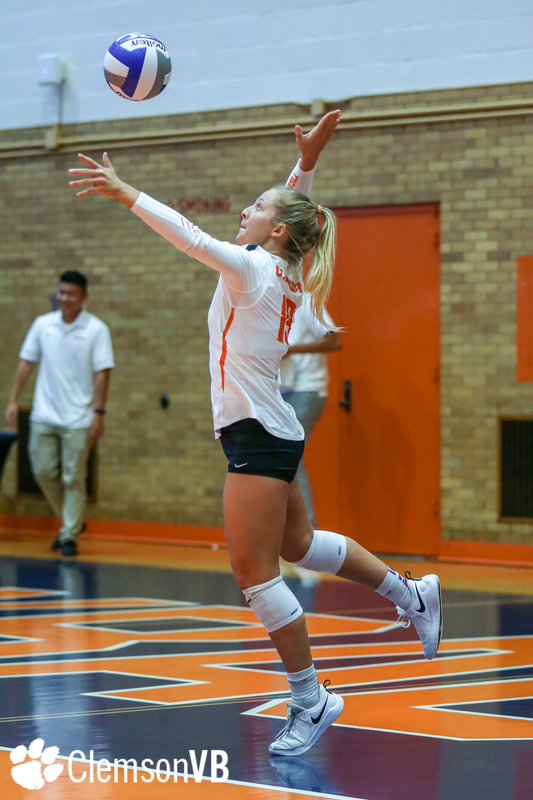 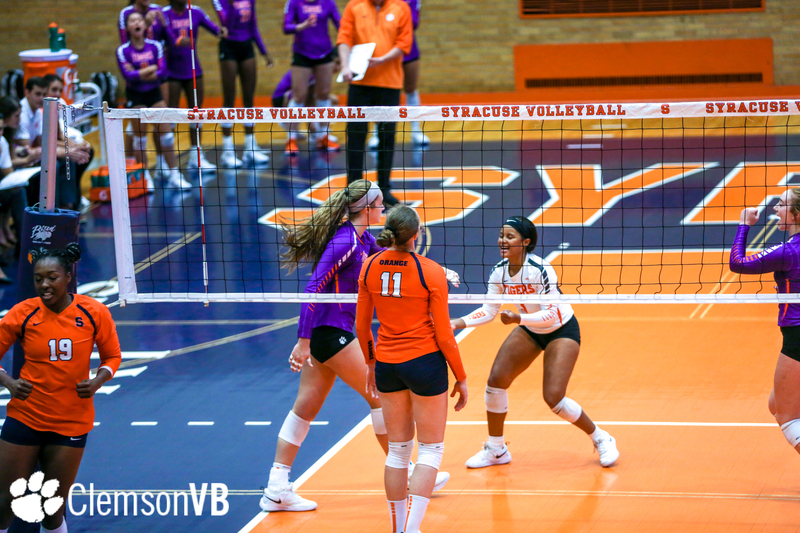 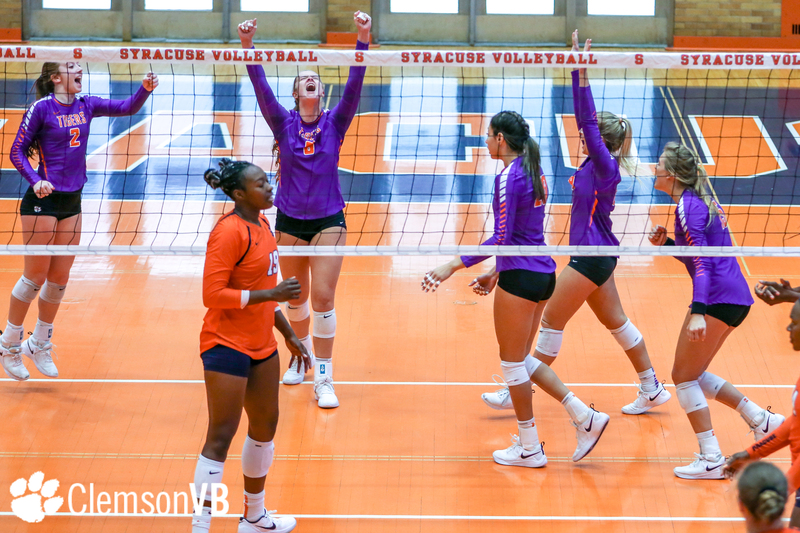 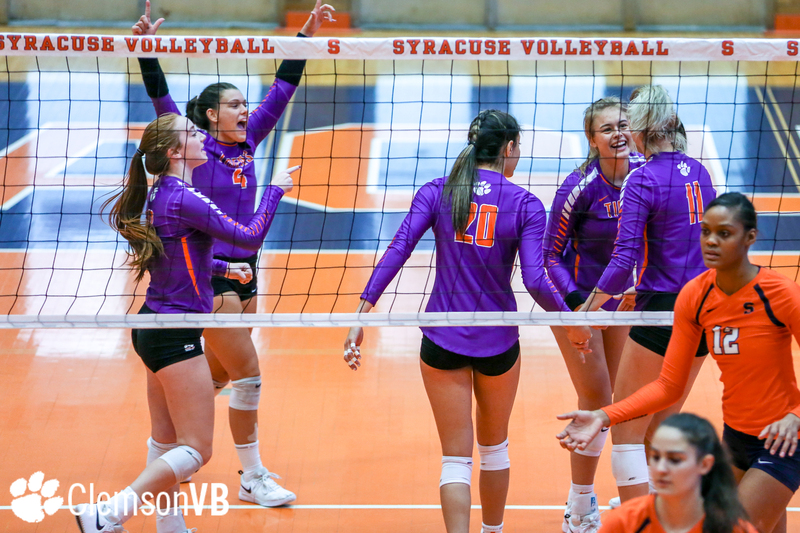 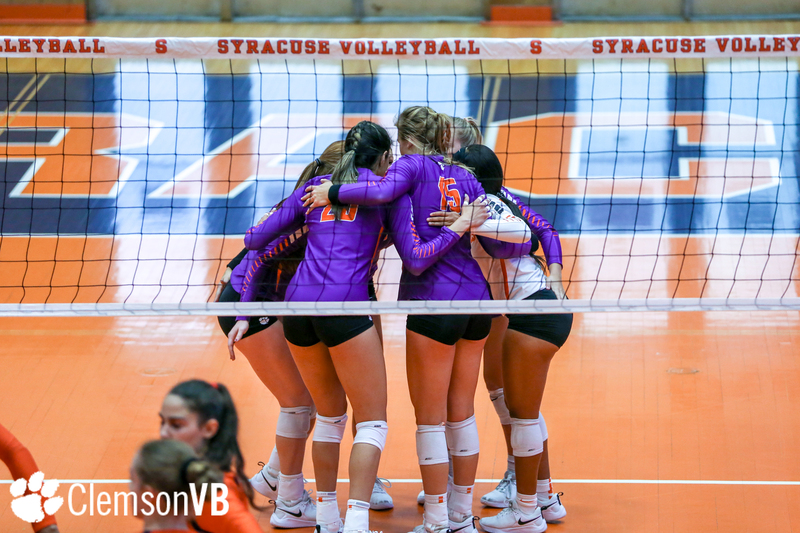 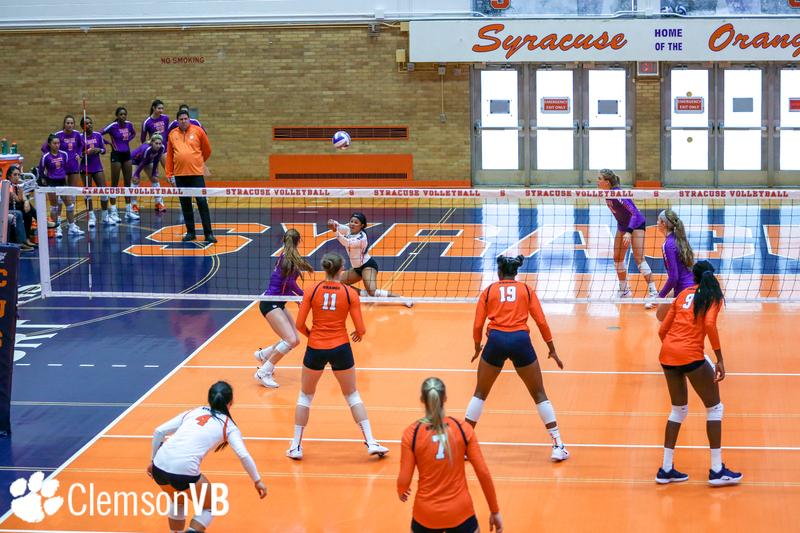 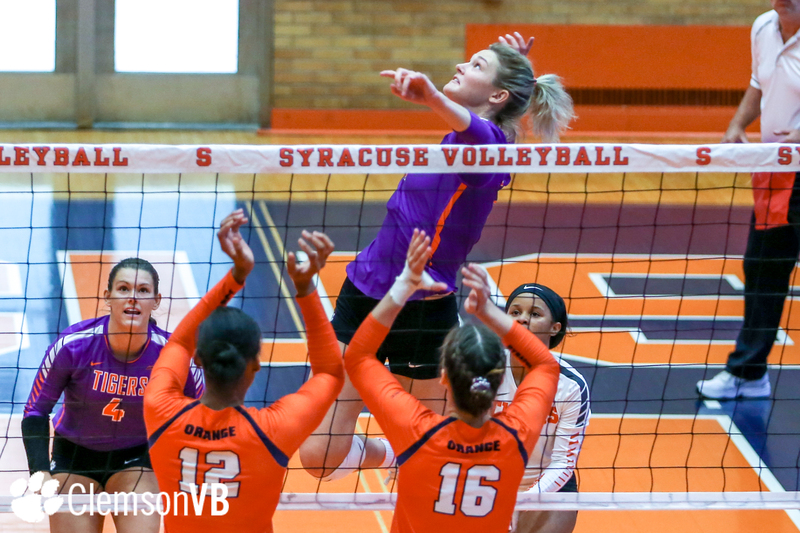 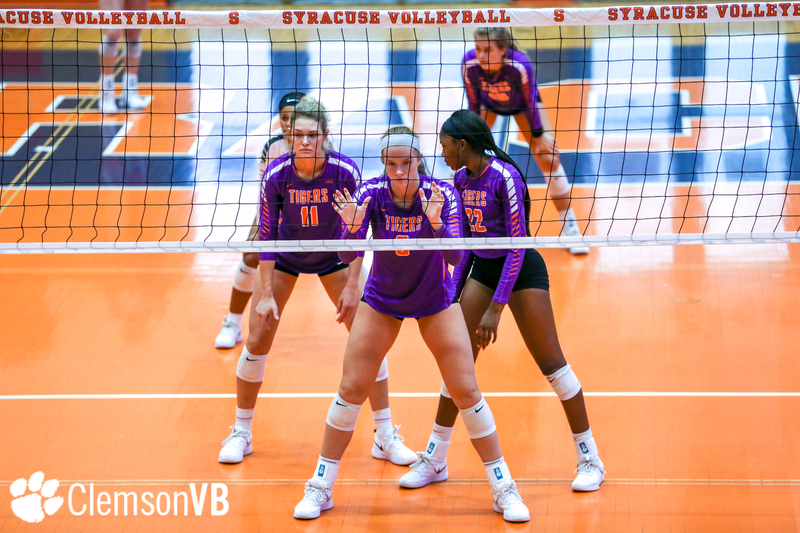 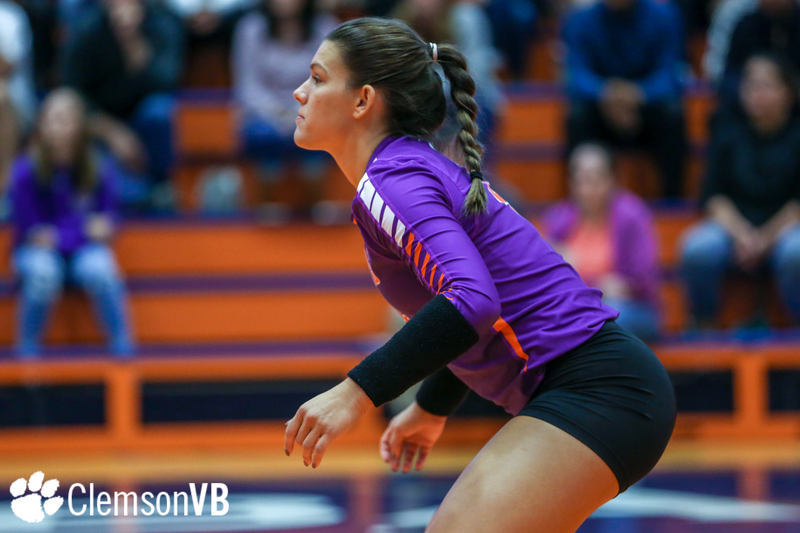 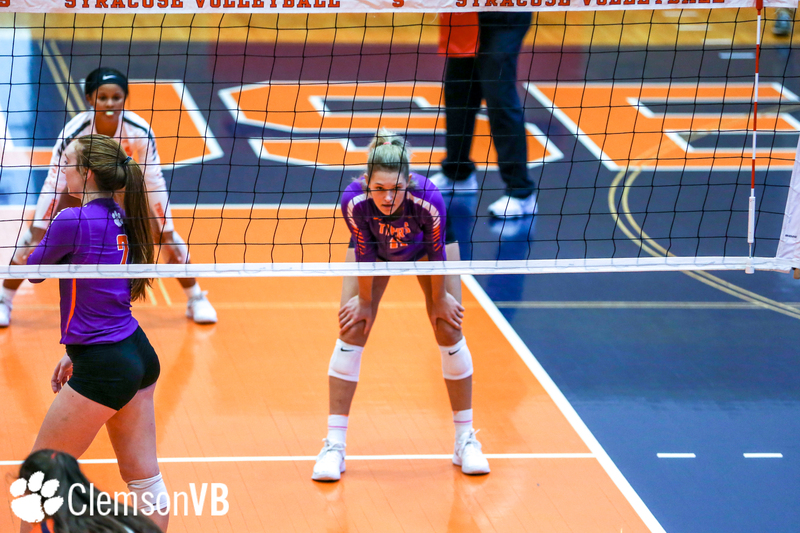 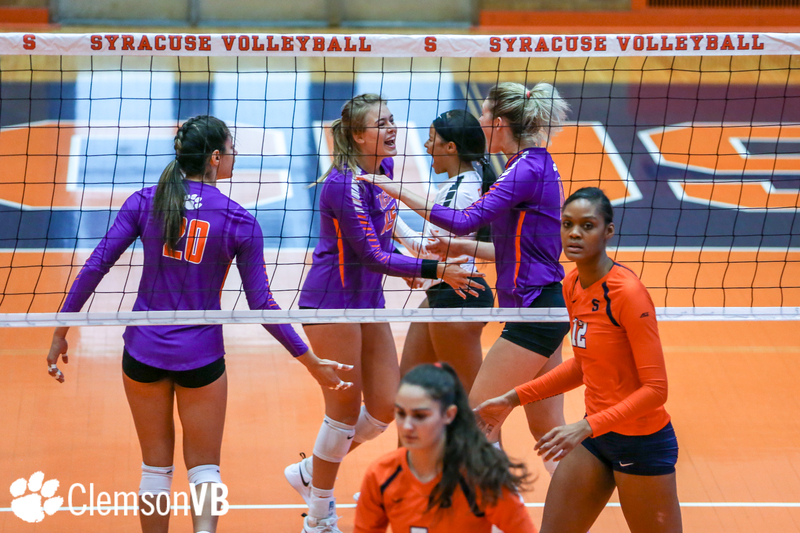 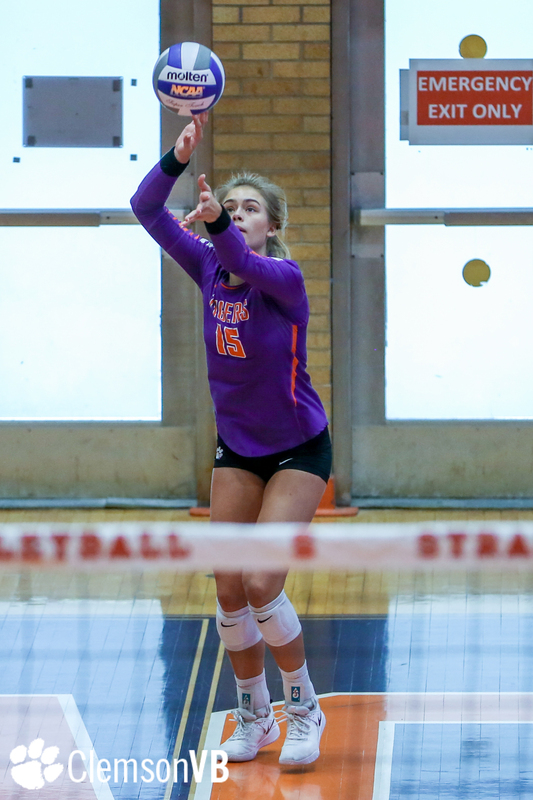 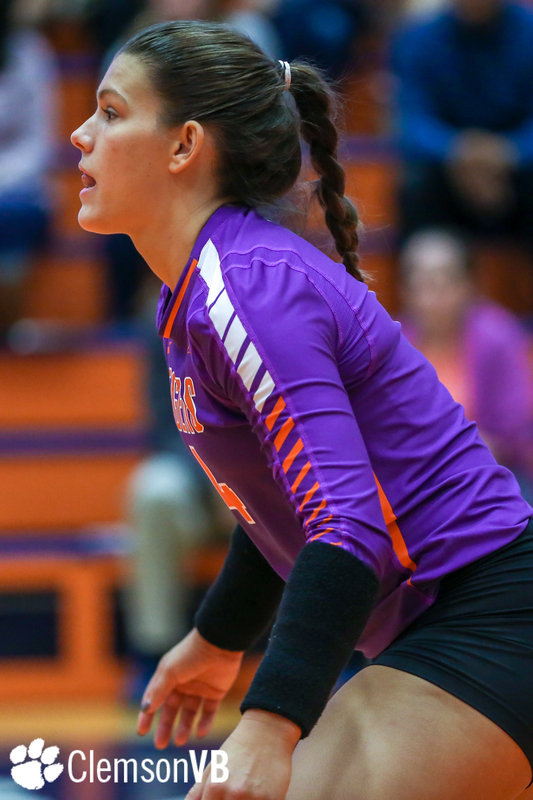 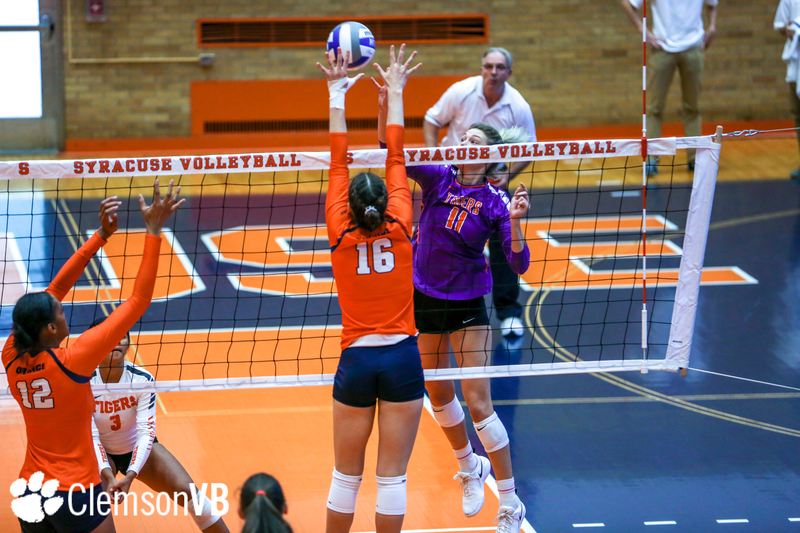 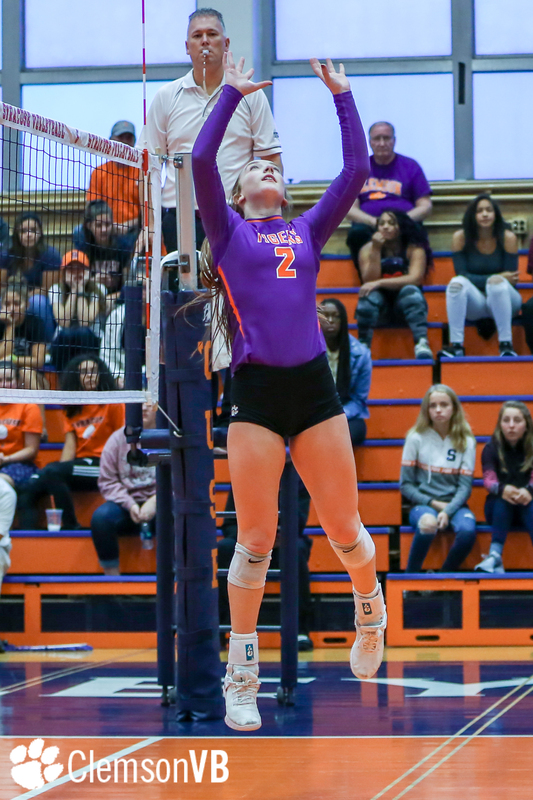 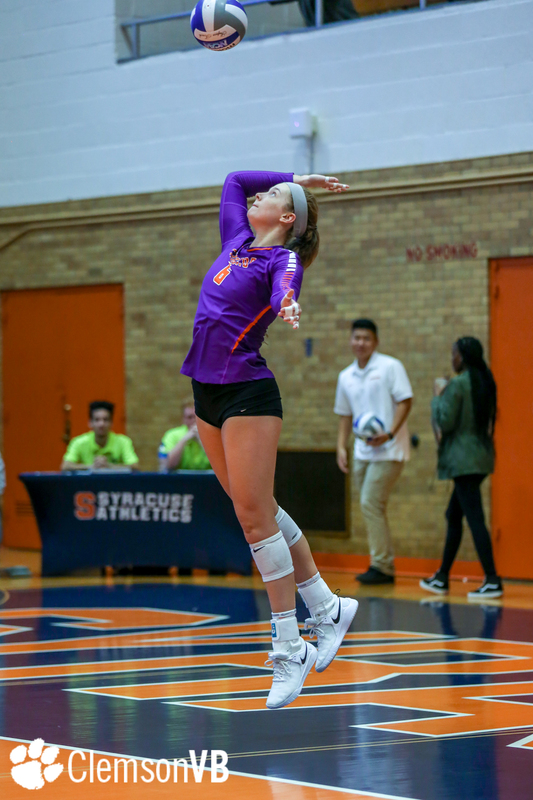 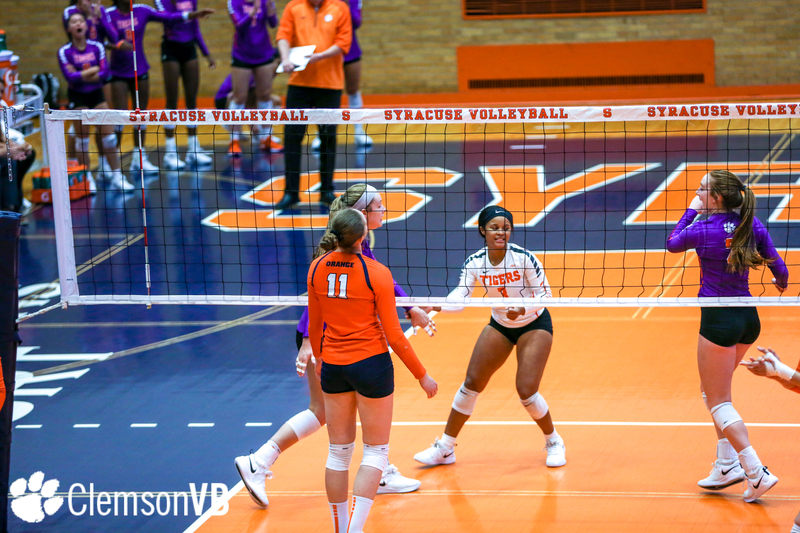 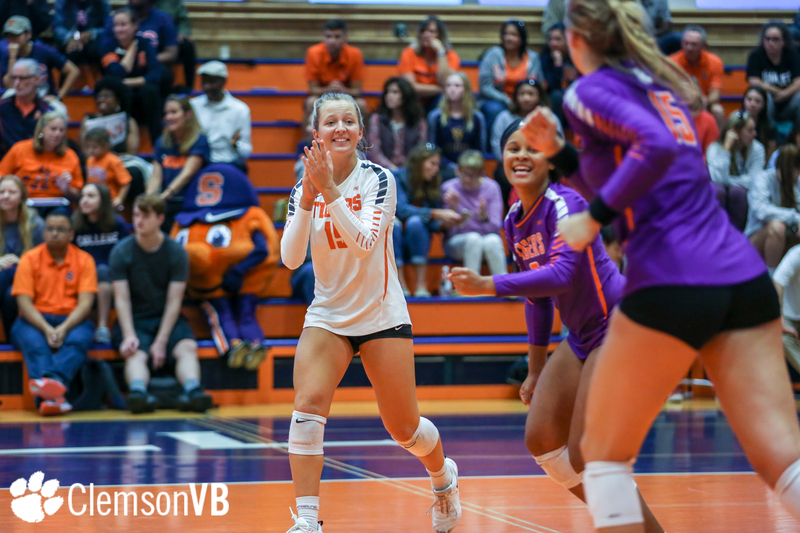 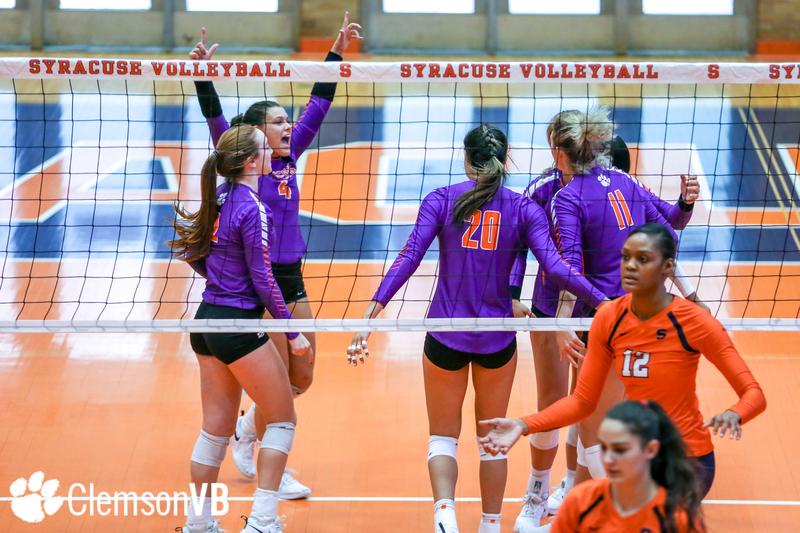 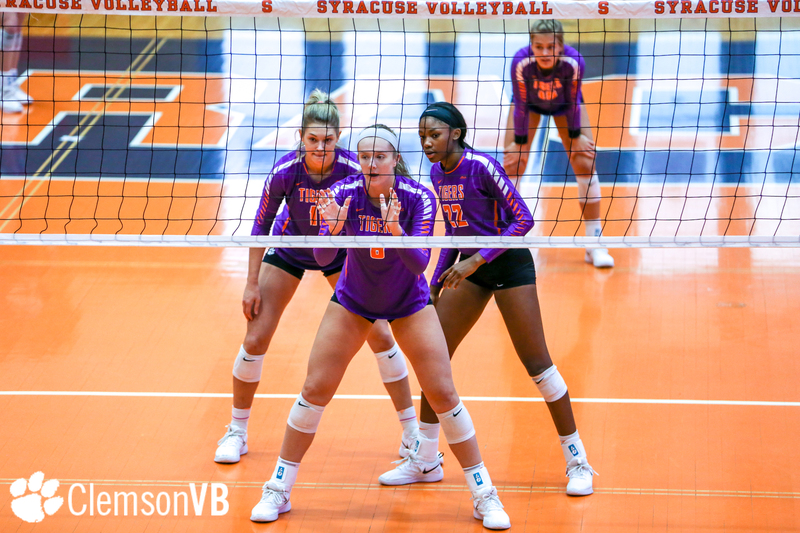 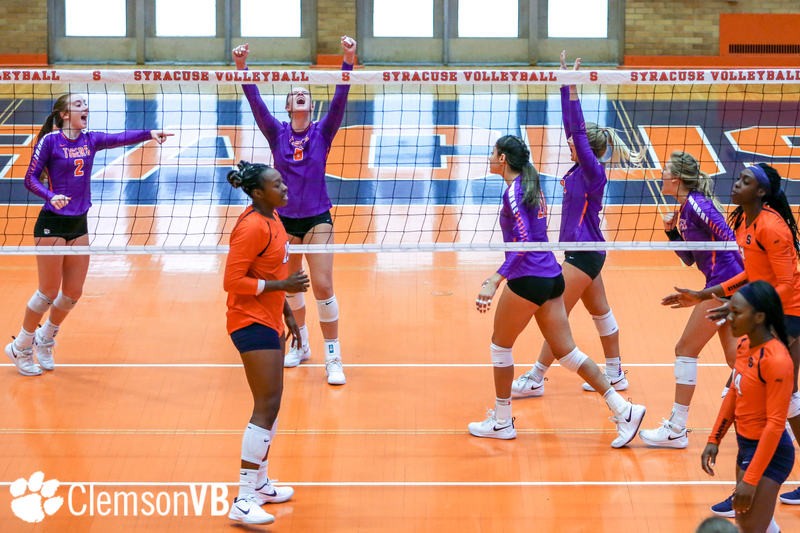 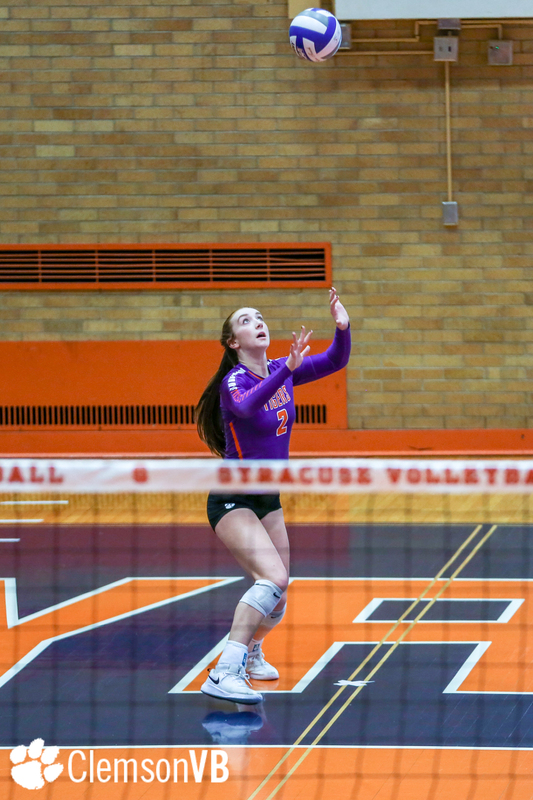 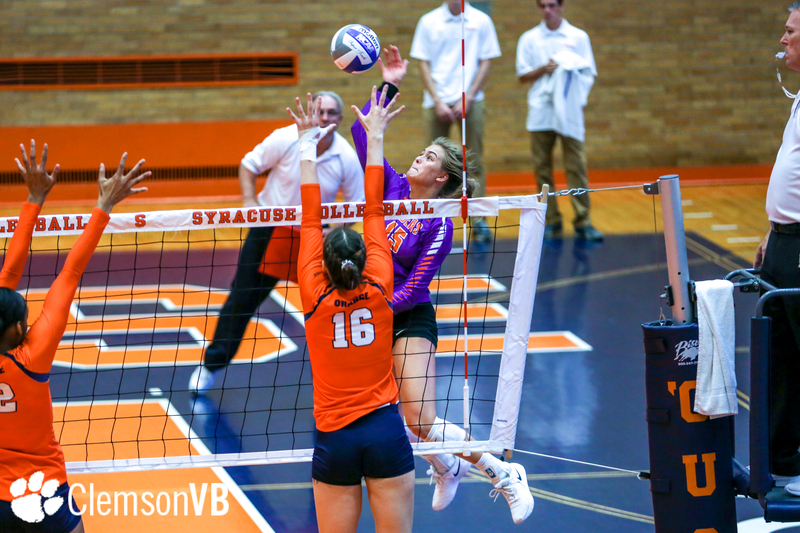 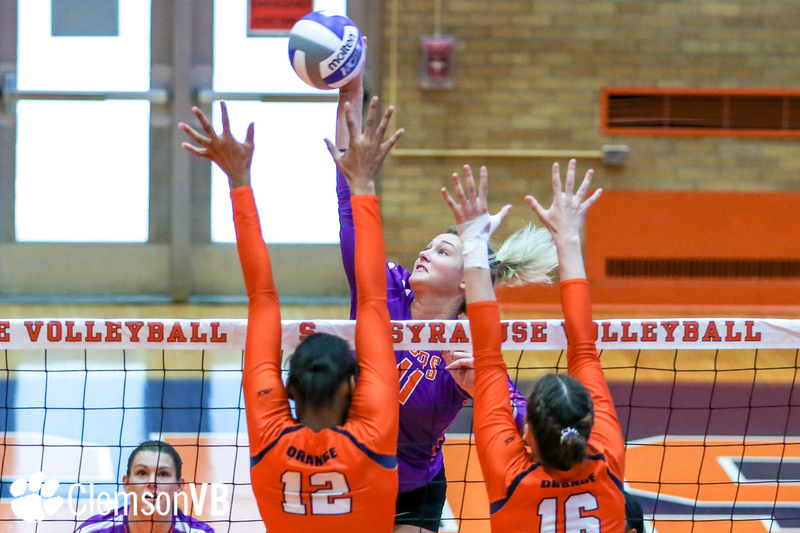 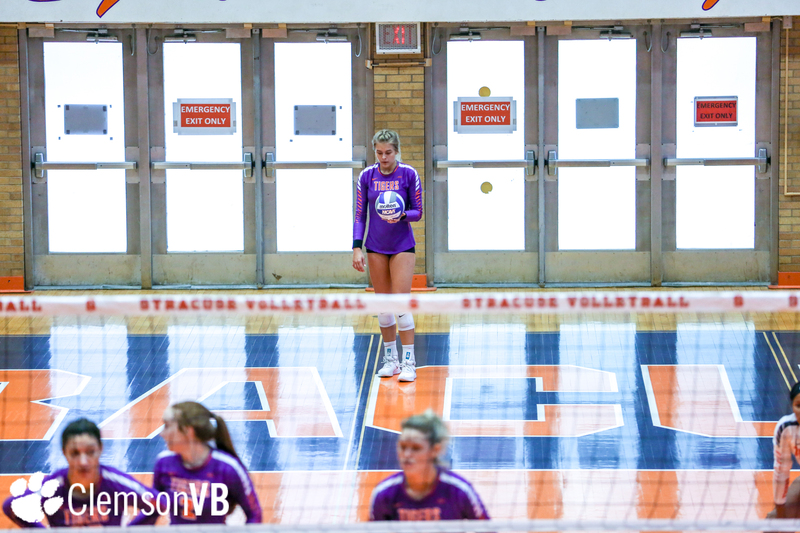 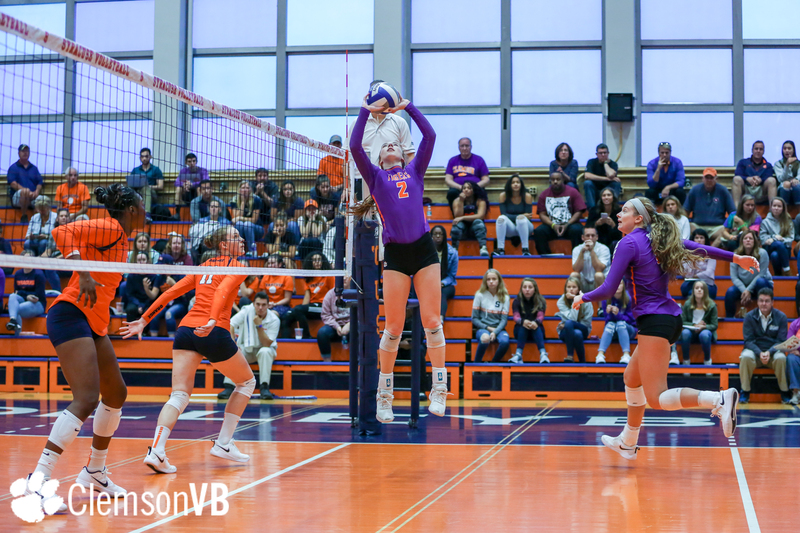 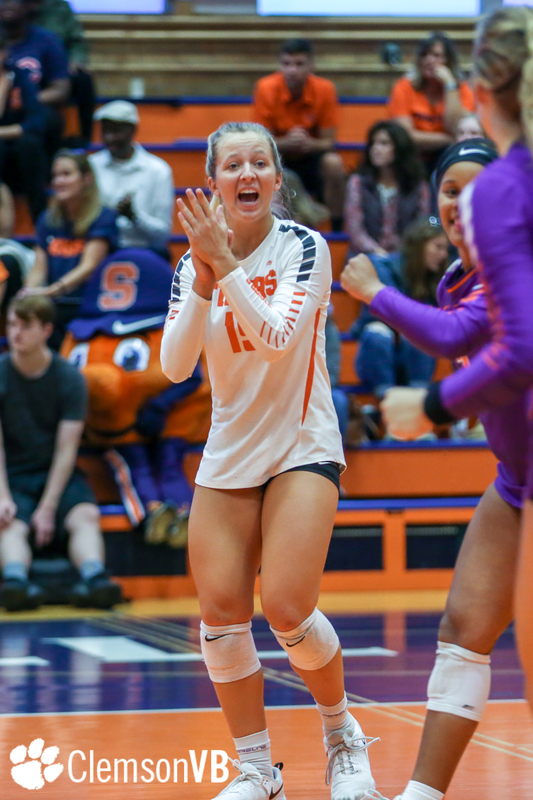 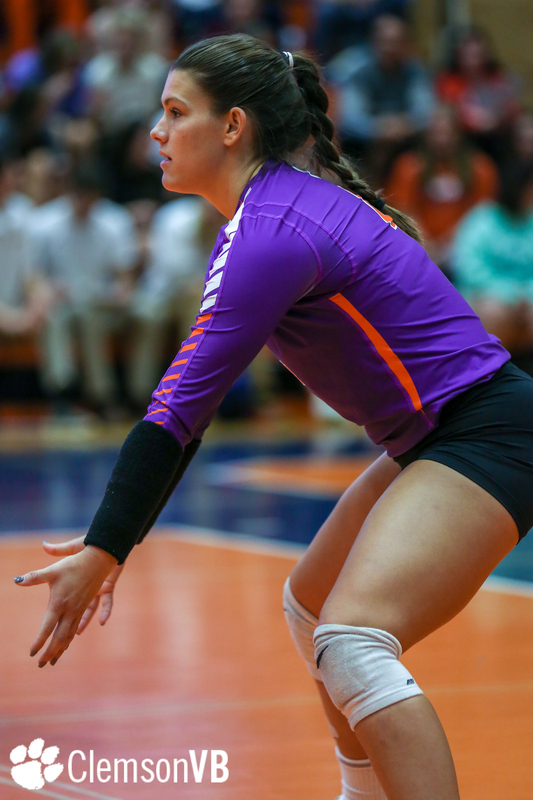 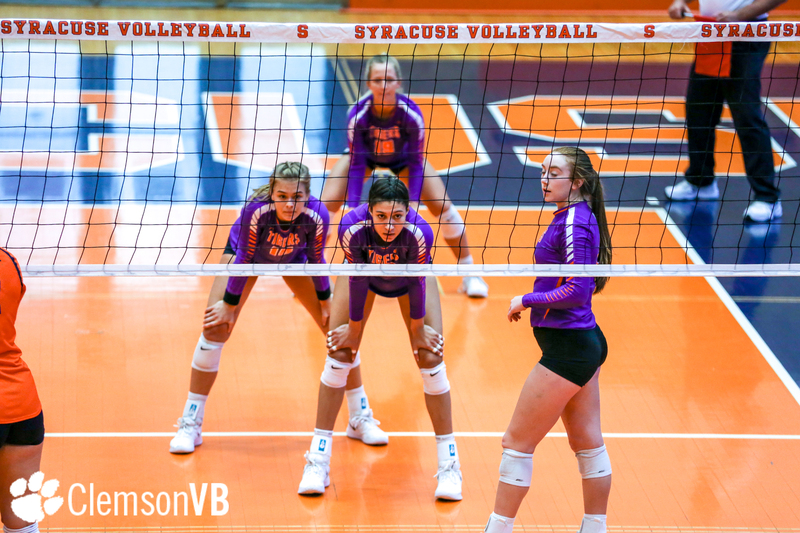 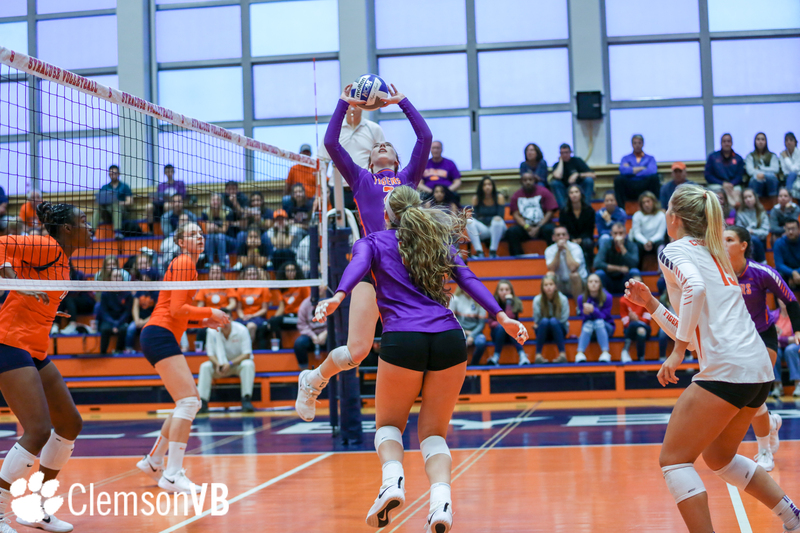 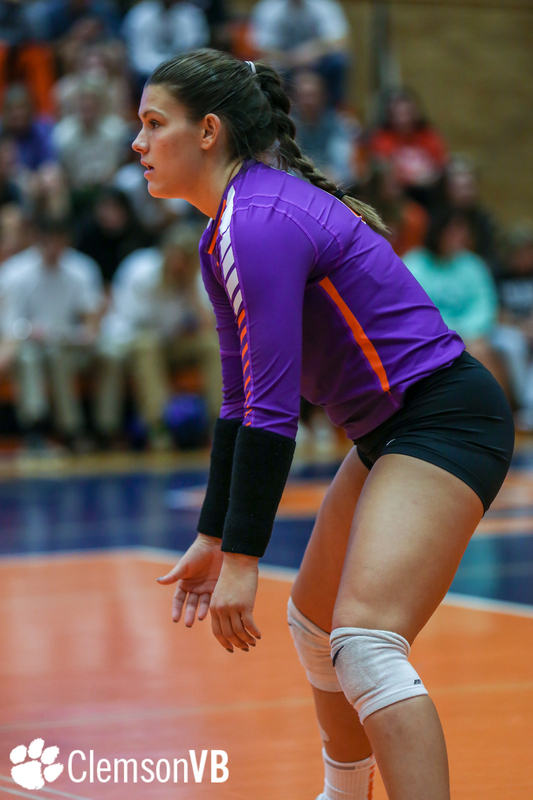 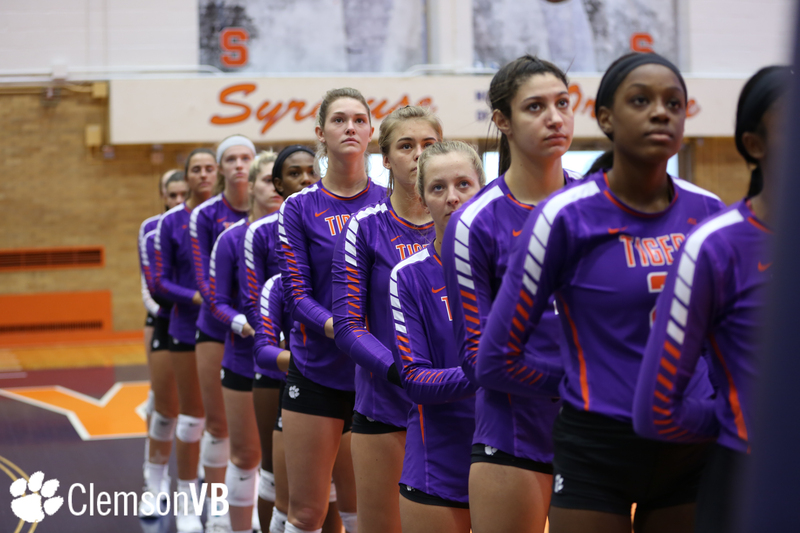 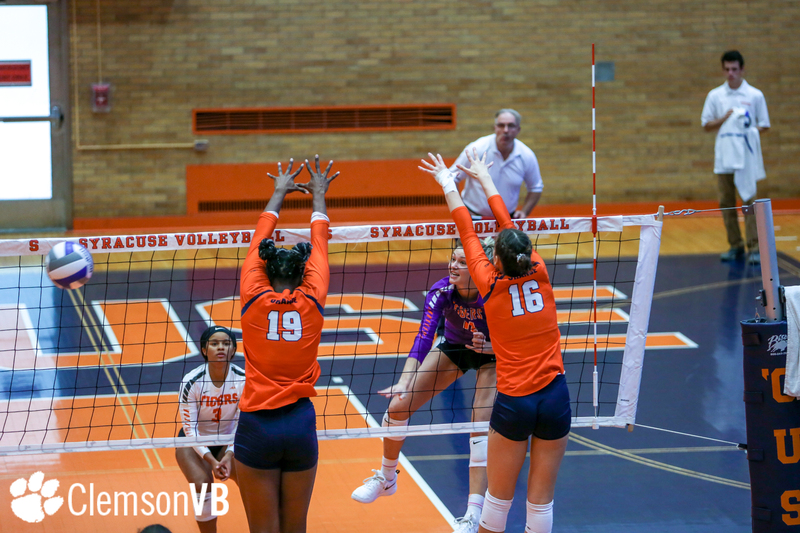 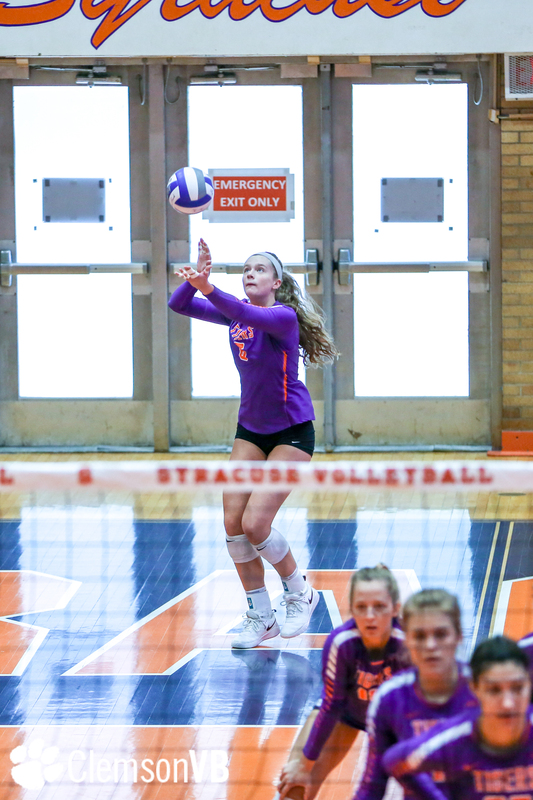 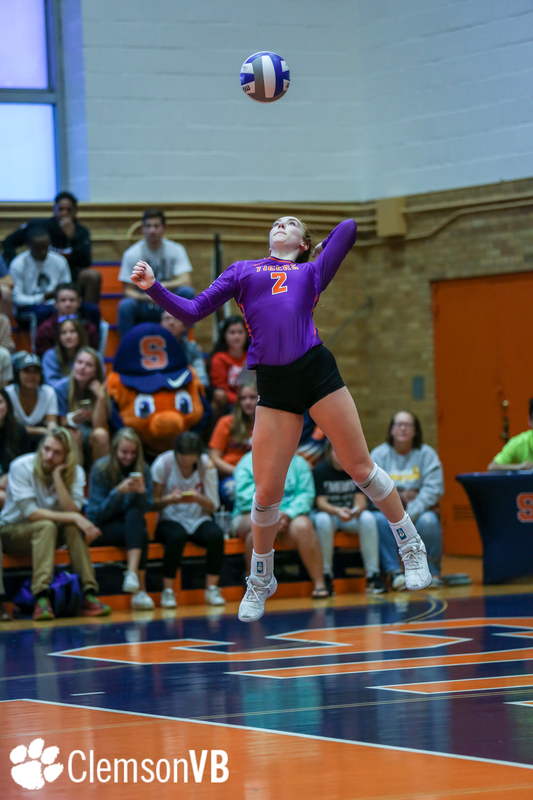 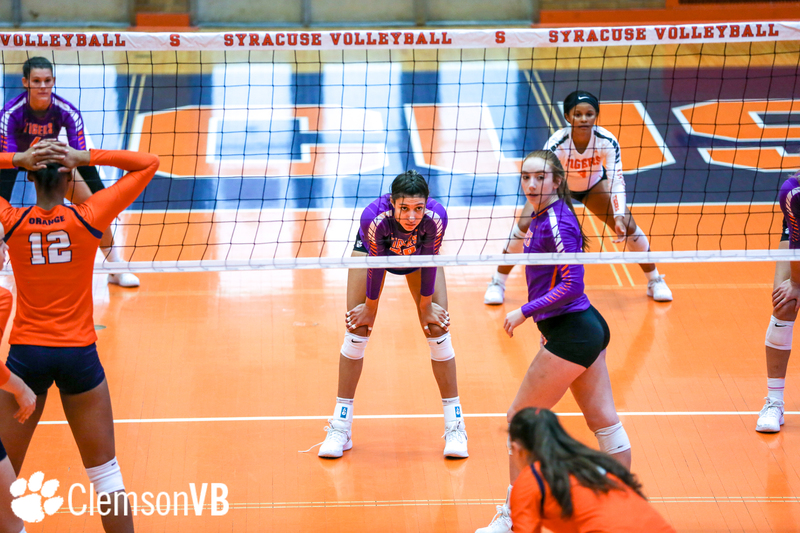 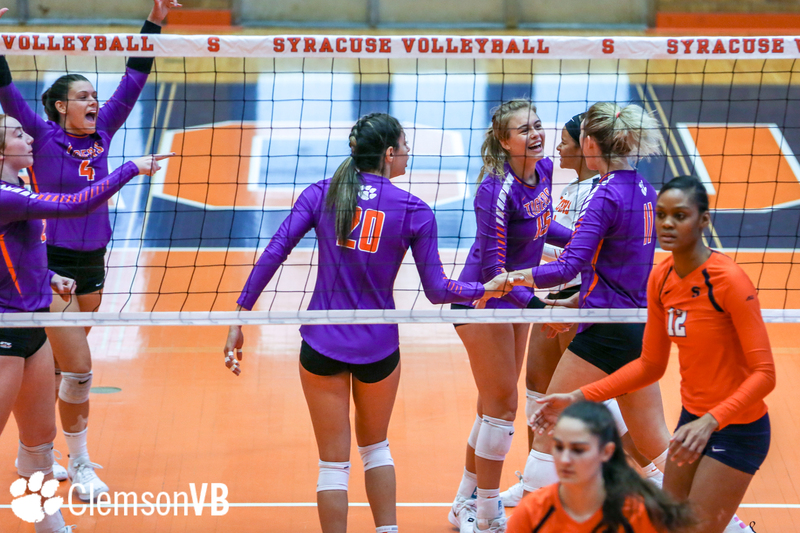 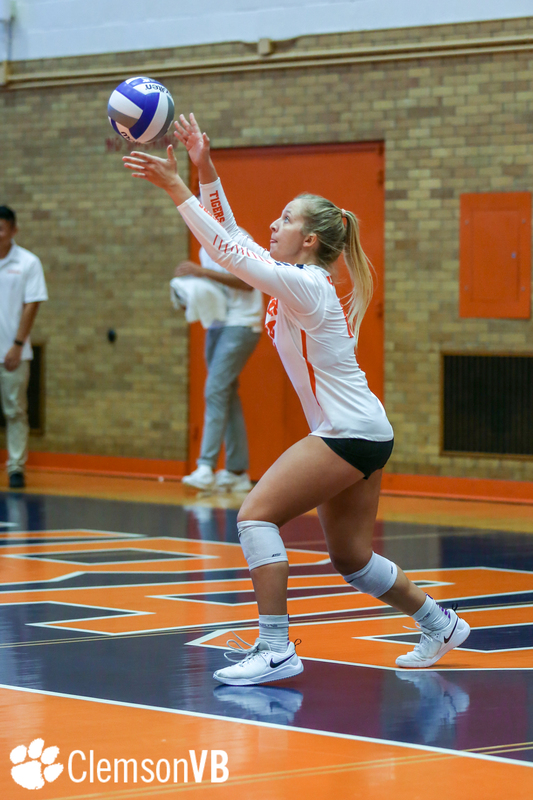 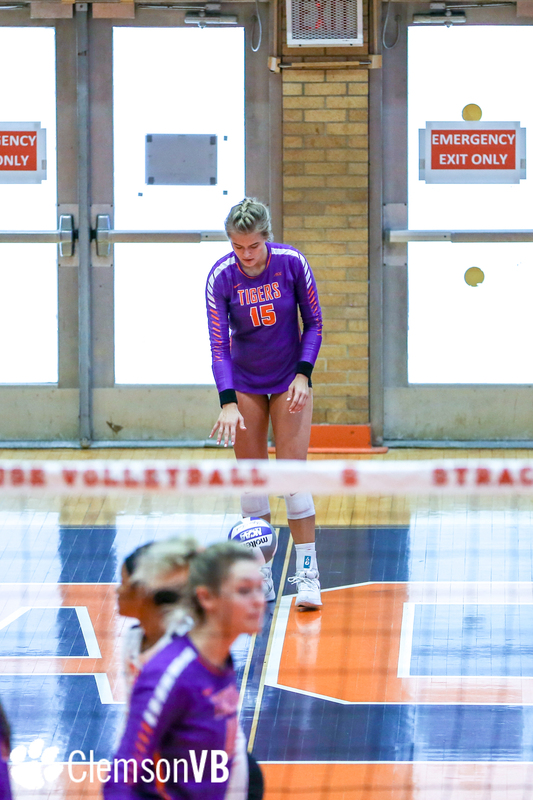 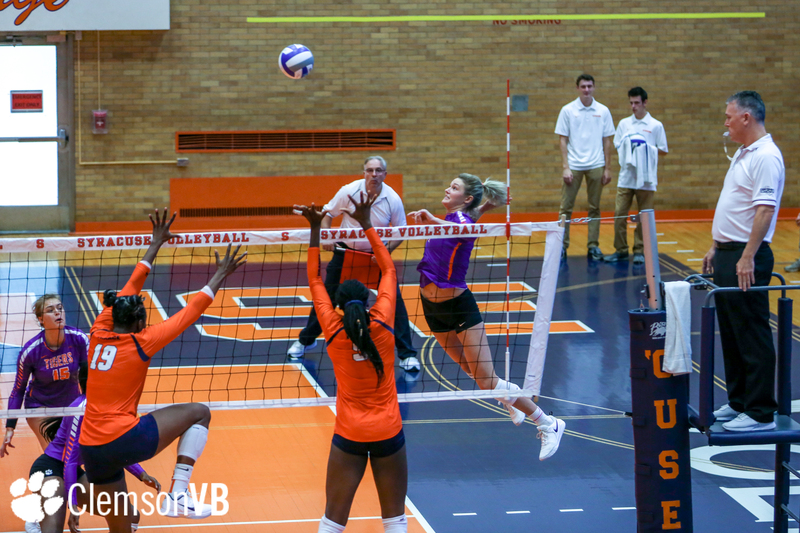 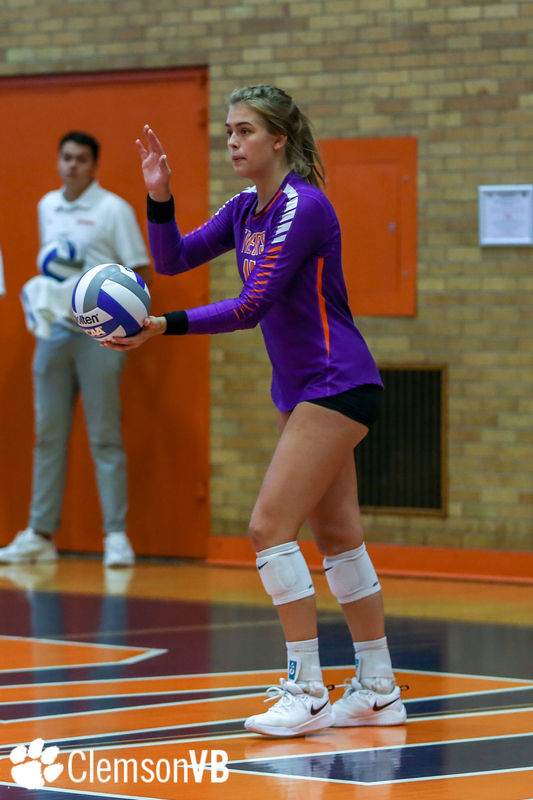 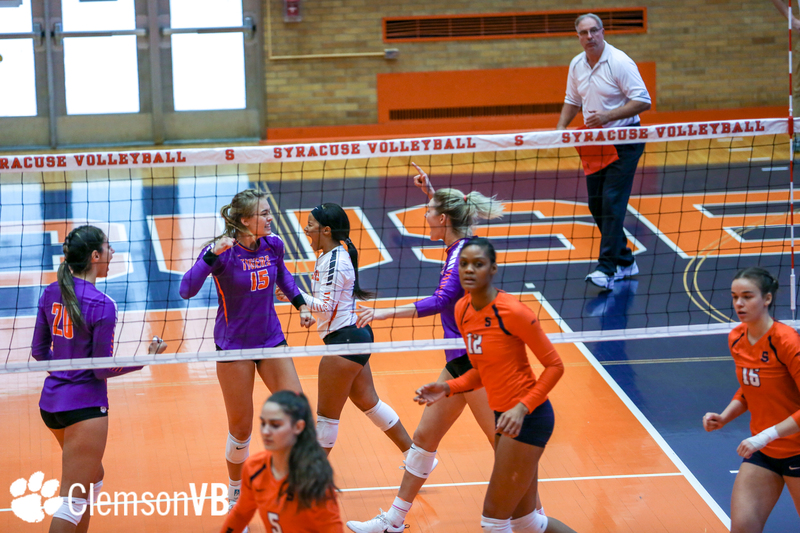 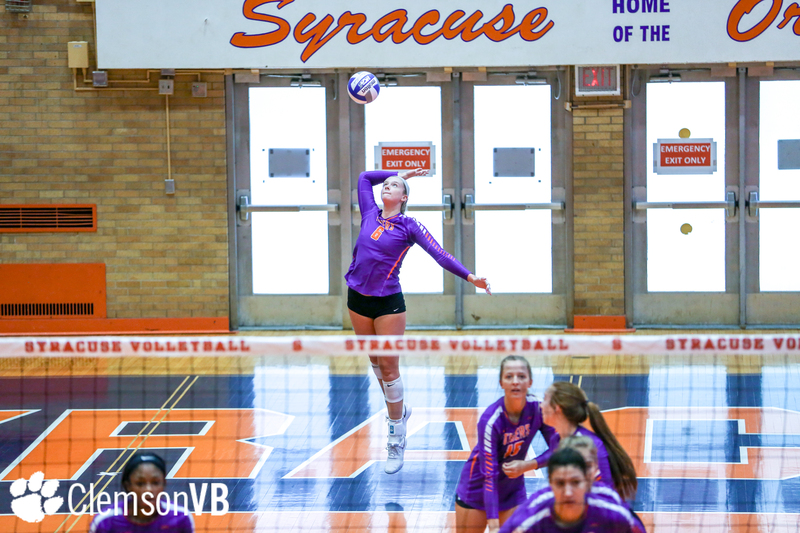 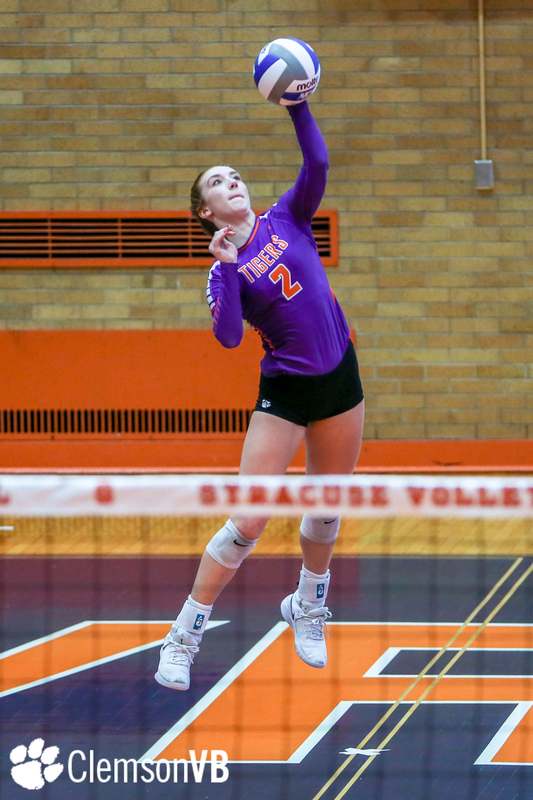 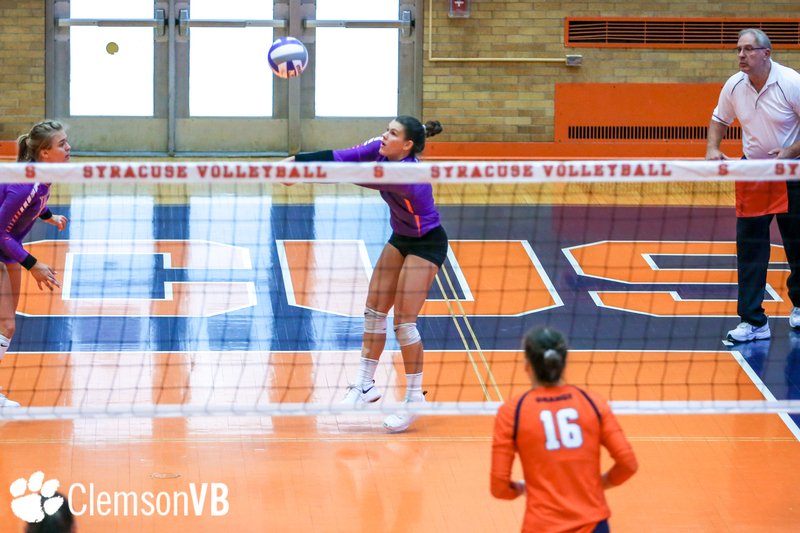 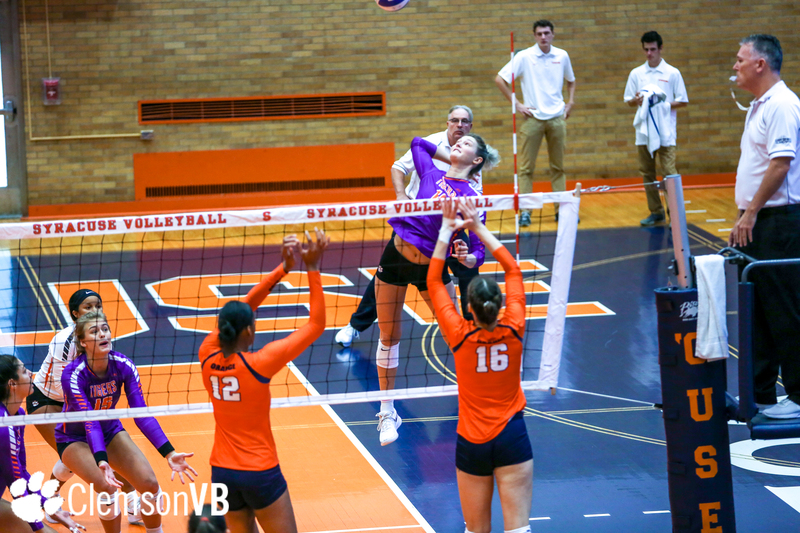 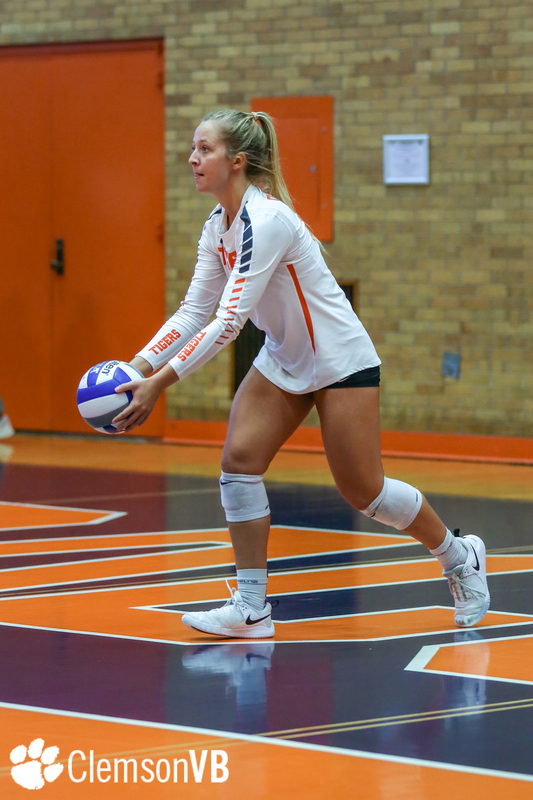 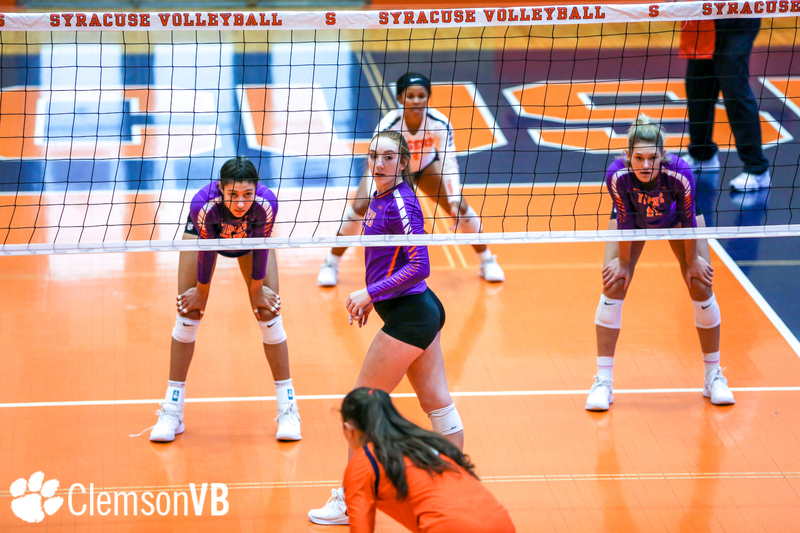 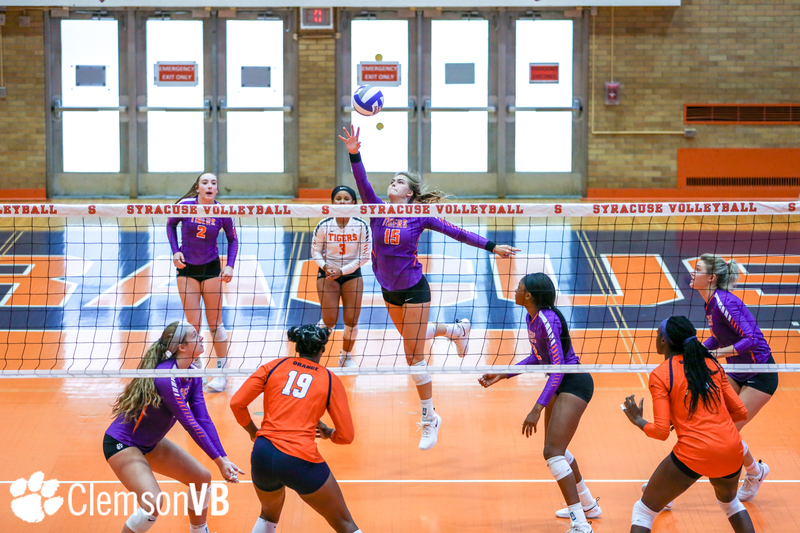 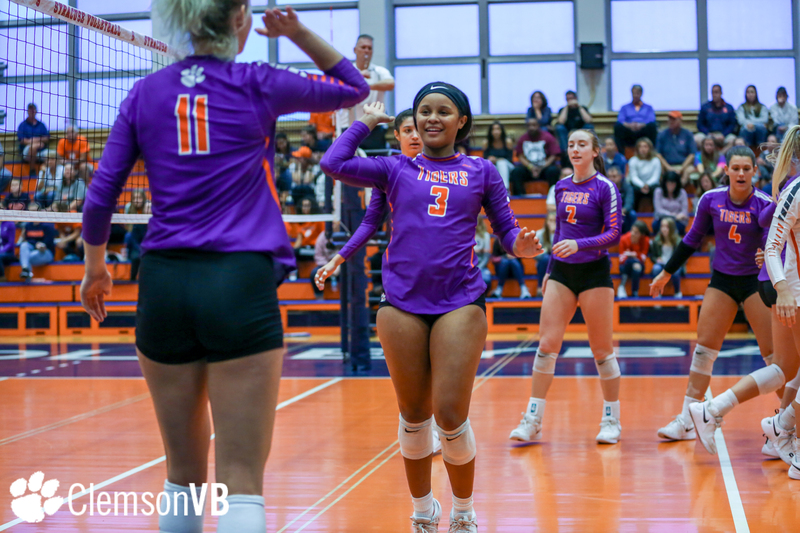 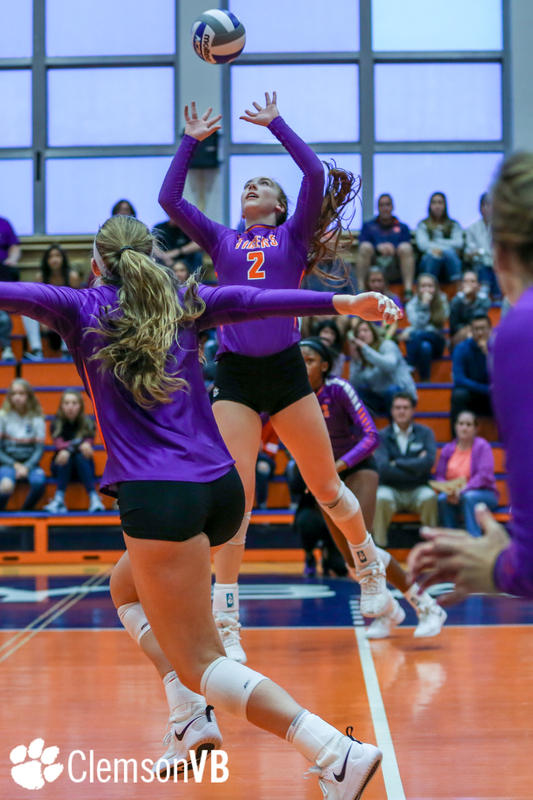 SYRACUSE, N.Y. – Clemson redshirt-sophomore Brooke Bailey recorded a match-high 16 kills in the Tigers’ four-set loss (20-25, 18-25, 25-20, 21-25) at the Women’s Building in Syracuse, New York Sunday afternoon. 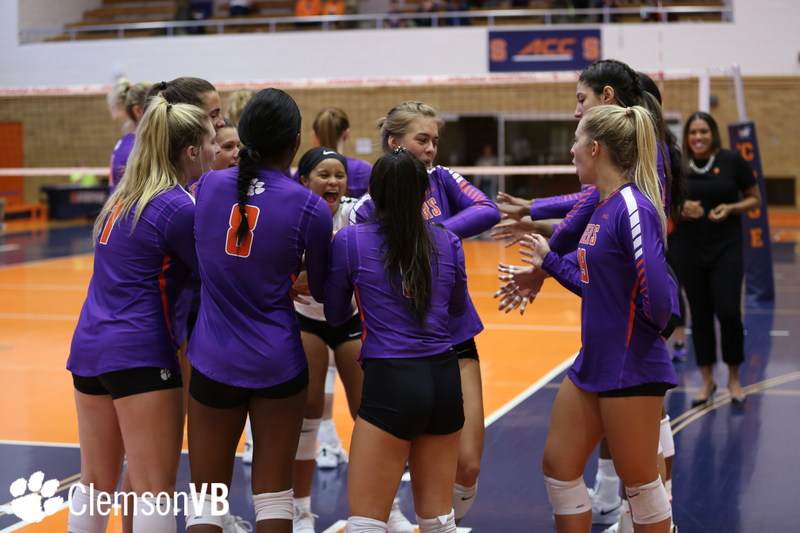 With the loss, Clemson slipped to 9-6 overall and 0-2 in ACC play, while the Orange improved to 6-4 overall and 2-0 in conference action. 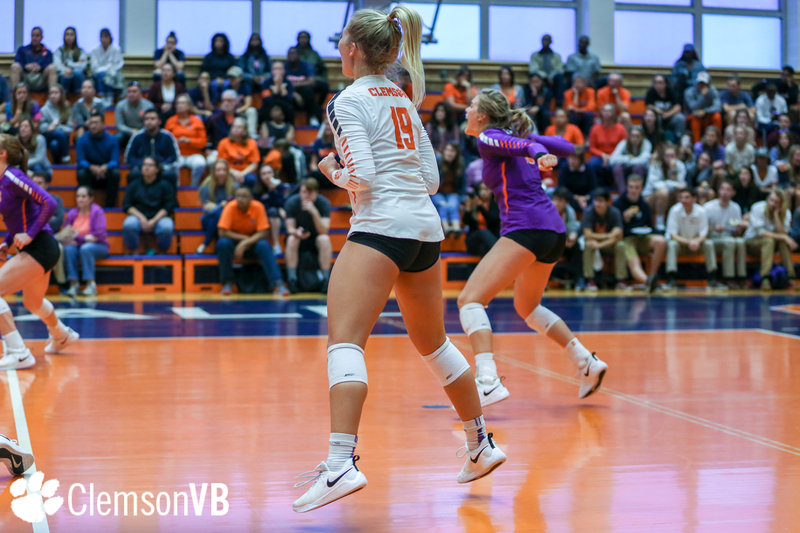 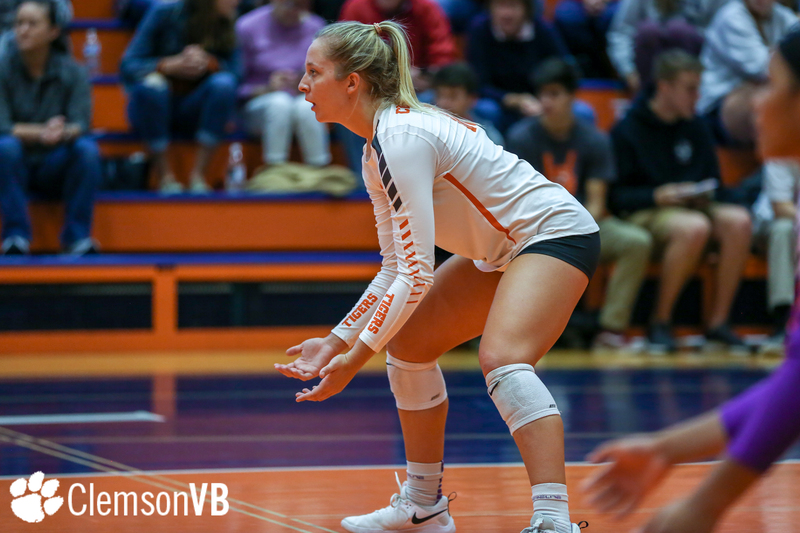 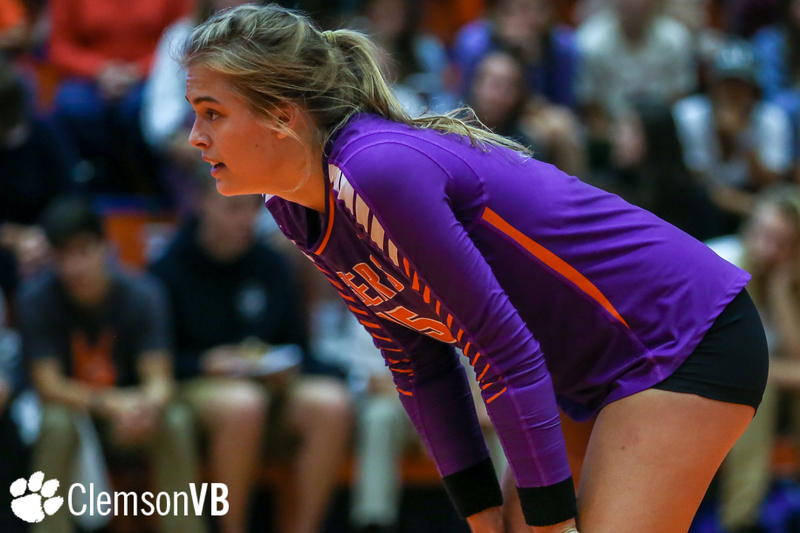 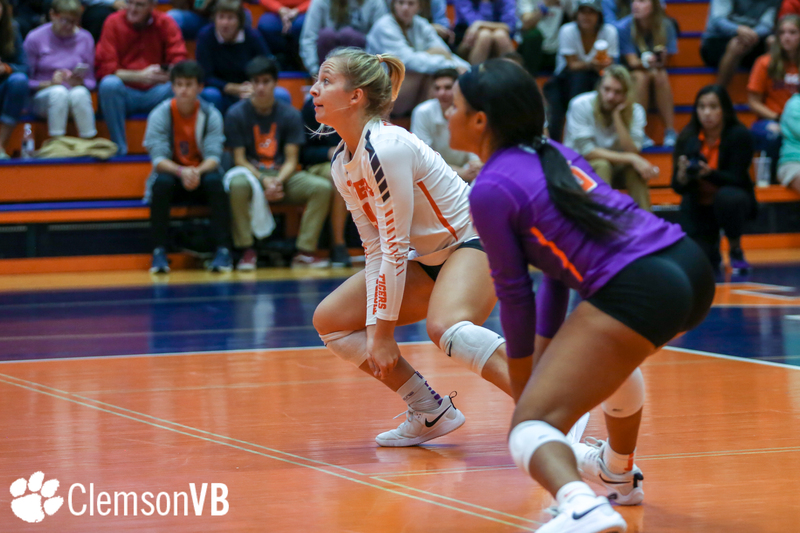 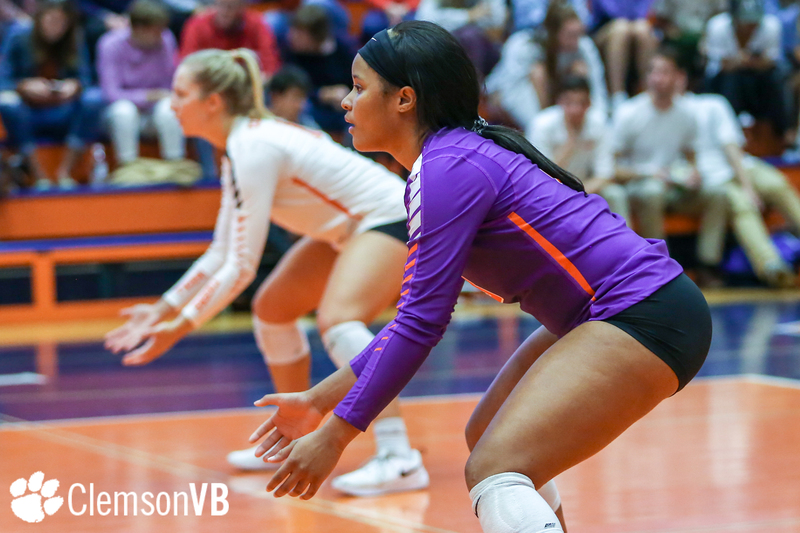 Bailey tallied five of her 16 kills in the opening set on 10 attacks, but nine hitting errors plagued the Clemson as the Orange took the first set, 25-20. 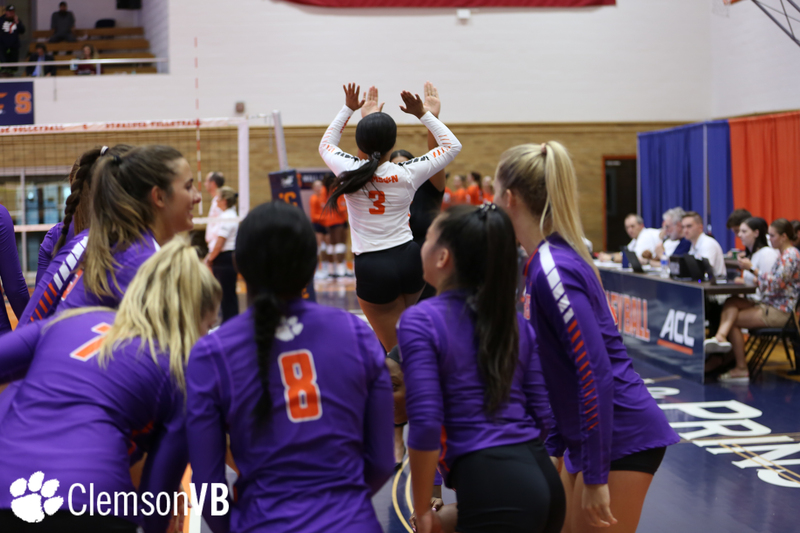 In the second, Clemson was more low-error than in set No. 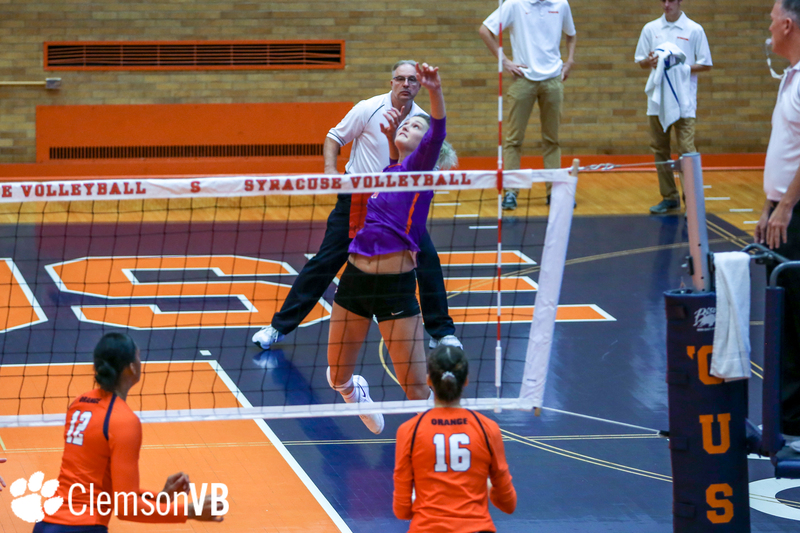 1, but struggled to hit the ball passed the Orange blockers as the Tigers accrued just eight kills in the second. 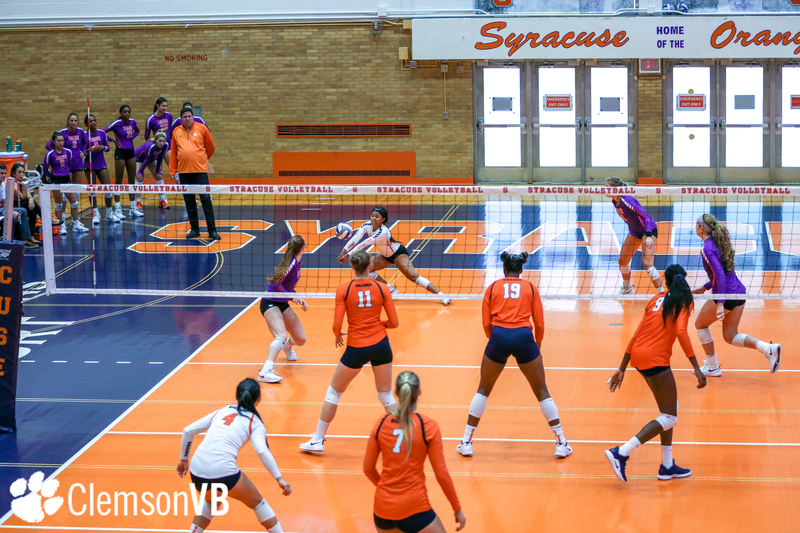 Syracuse took set No. 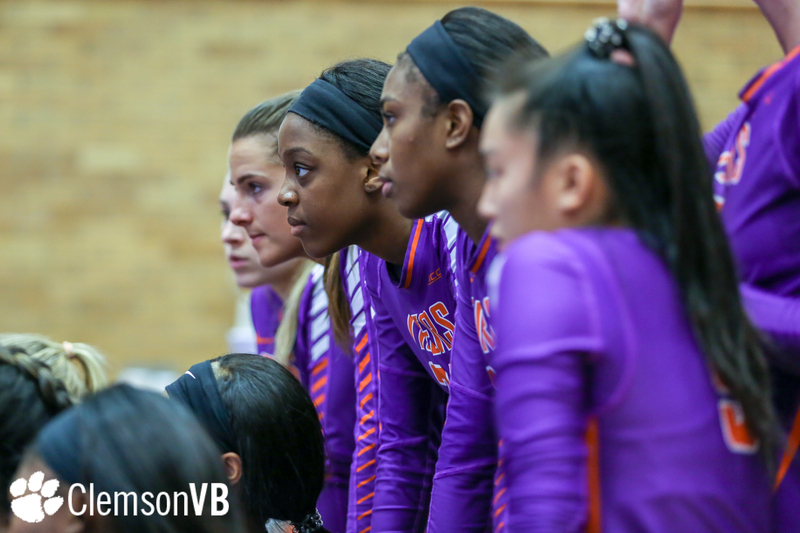 2, 25-18, and a 2-0 lead. 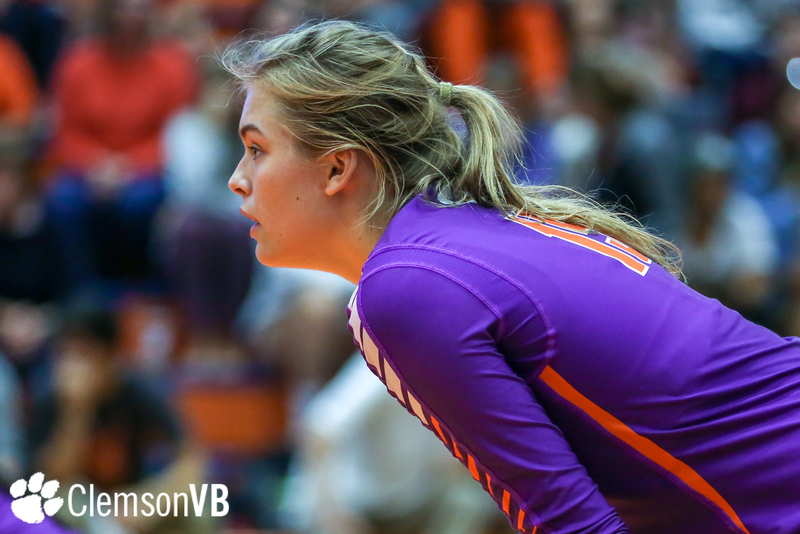 Coming out of the break, the Tigers shifted momentum their way. 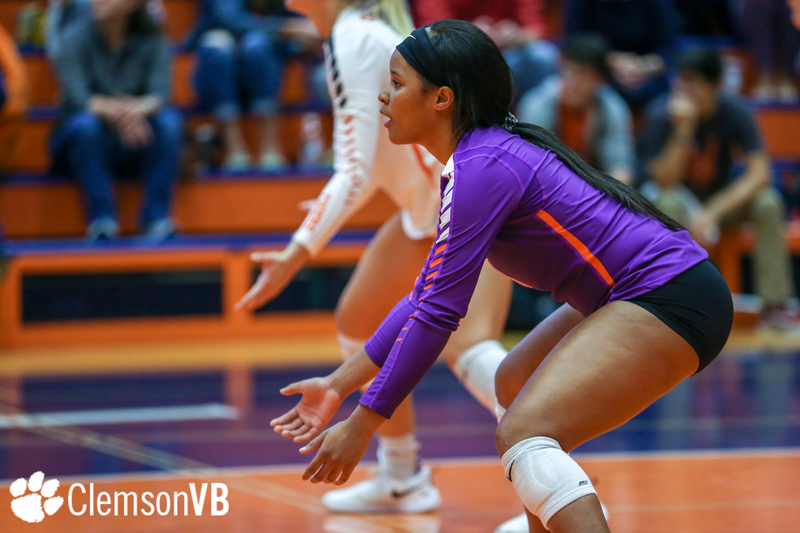 Freshman Solei Thomas exploded, amassing six of her eight kills in the third while hitting .857 for the set. 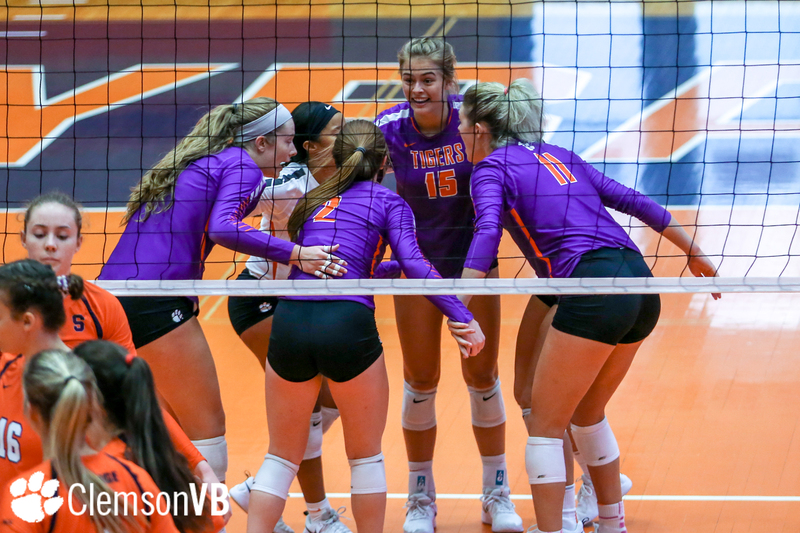 Additionally, freshman Ashtynne Alberts, sophomore Alyssa Deloney and Bailey chipped in three kills each as the Tigers registered 16 kills in route to winning the set, 25-20. 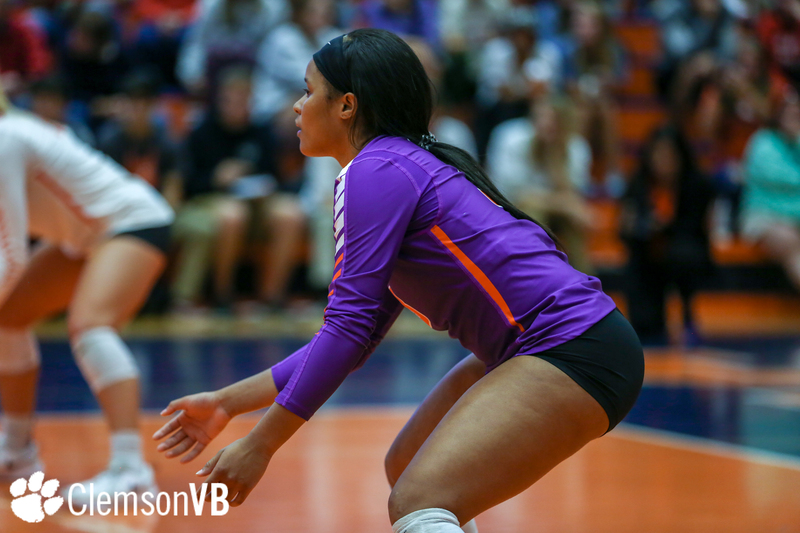 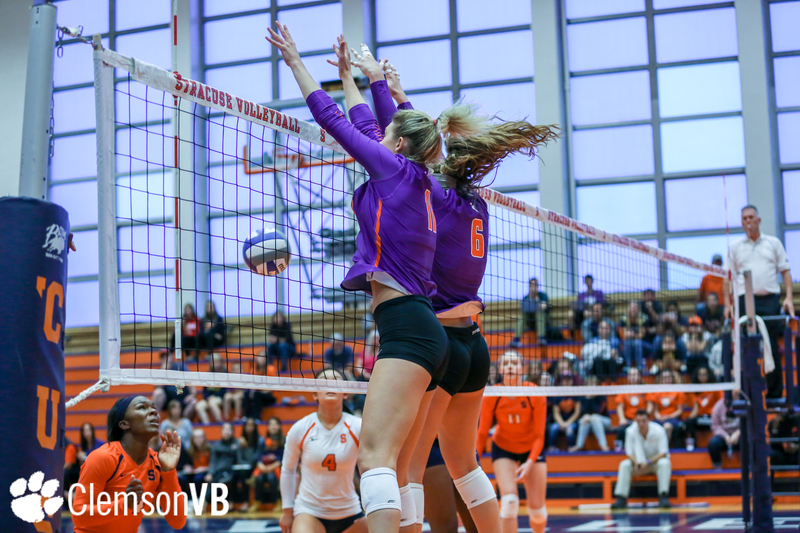 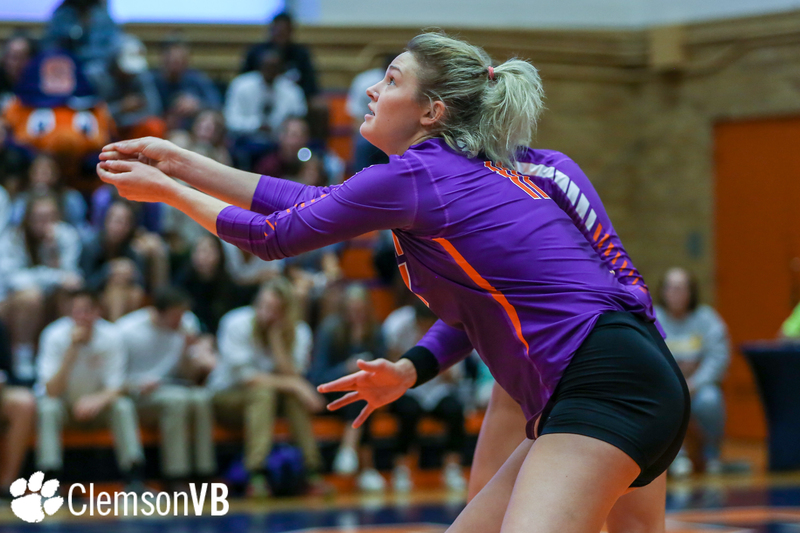 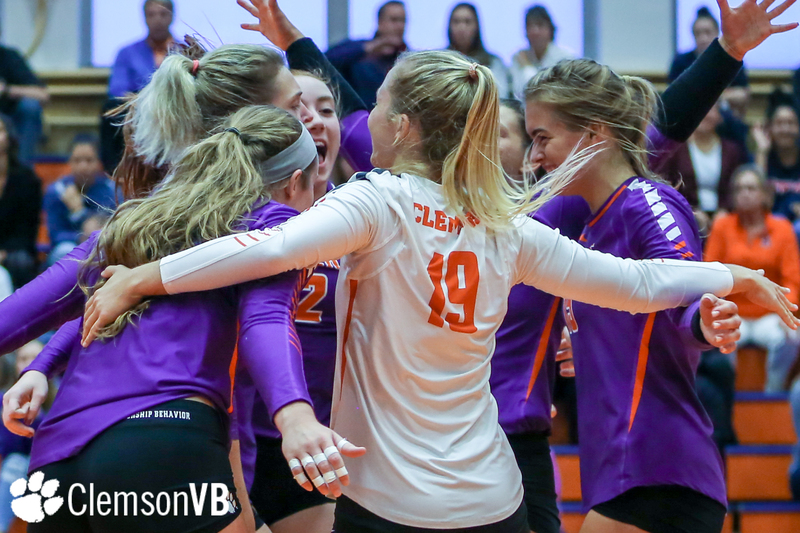 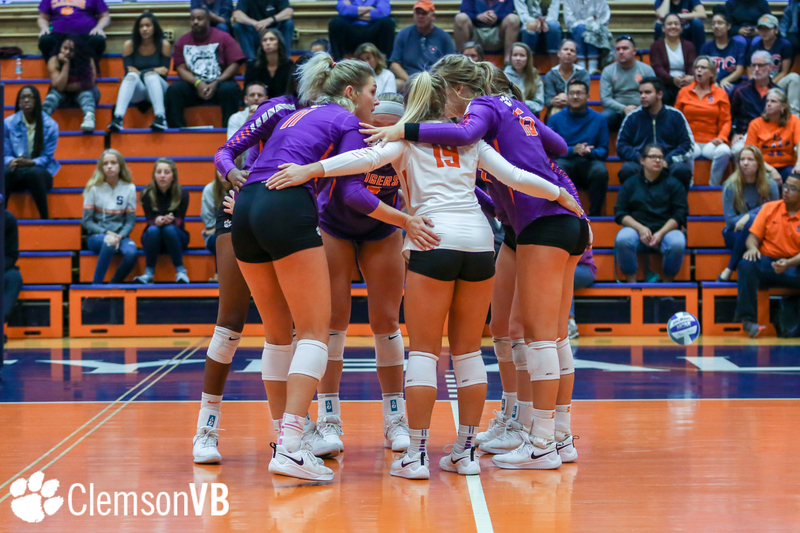 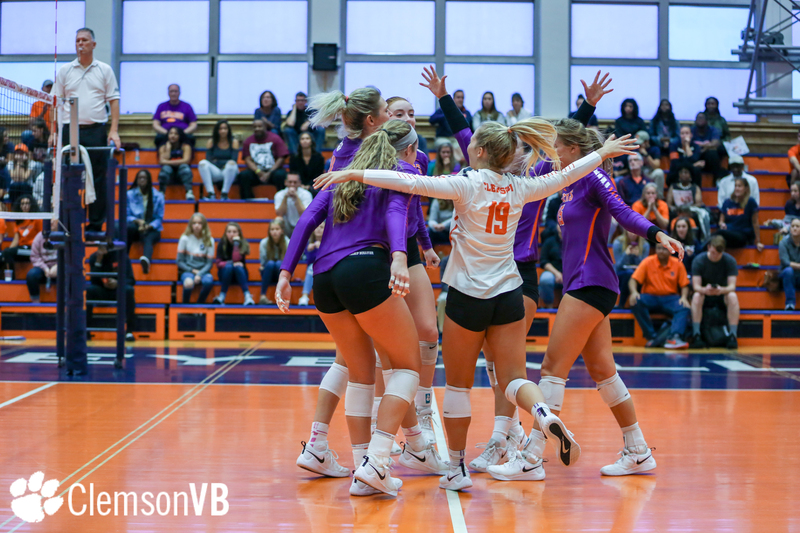 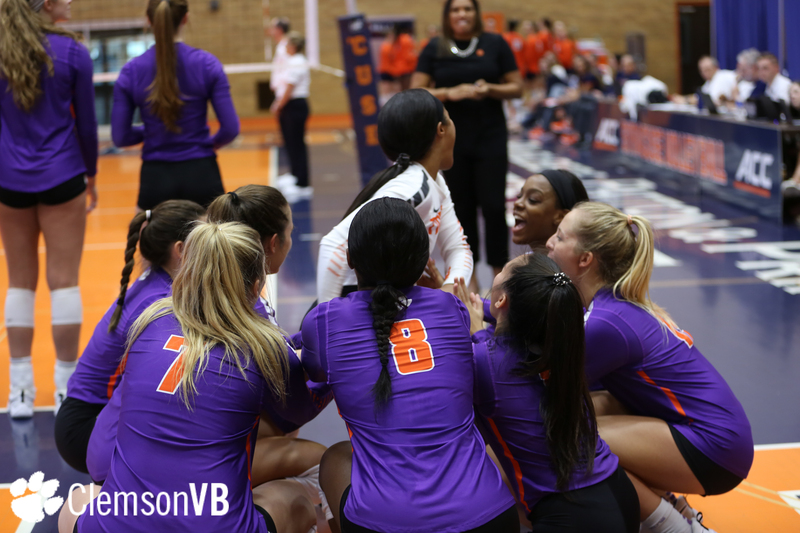 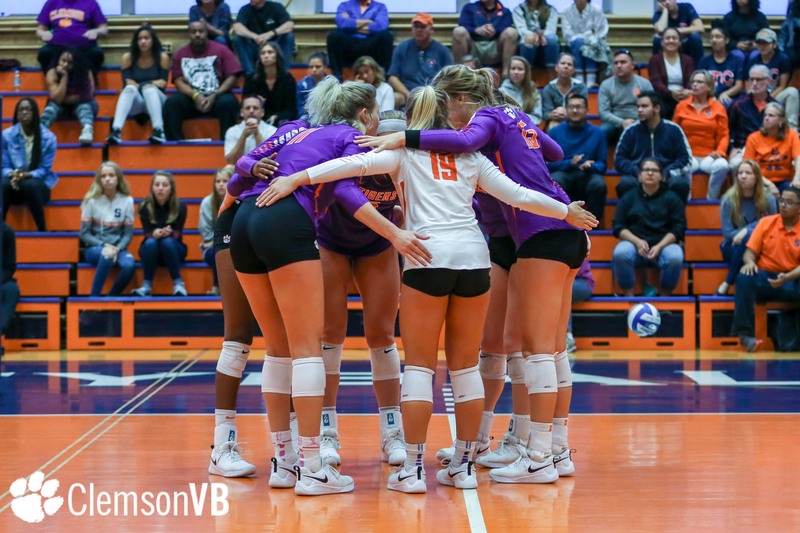 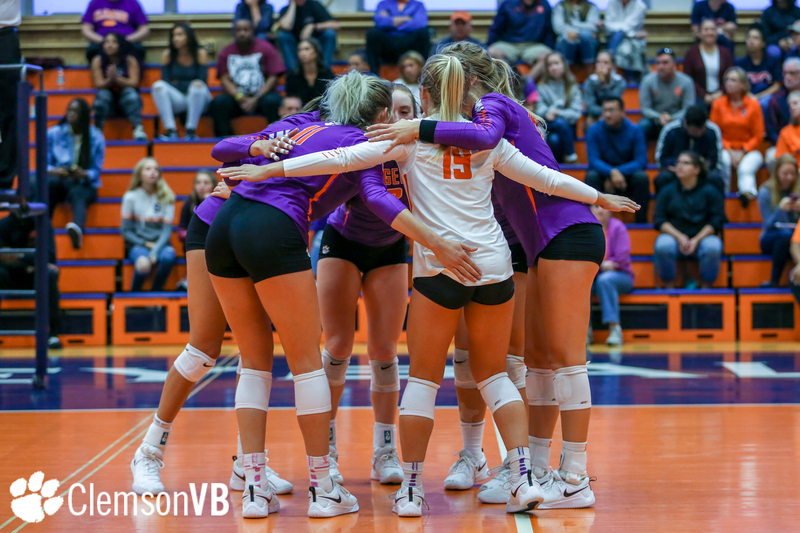 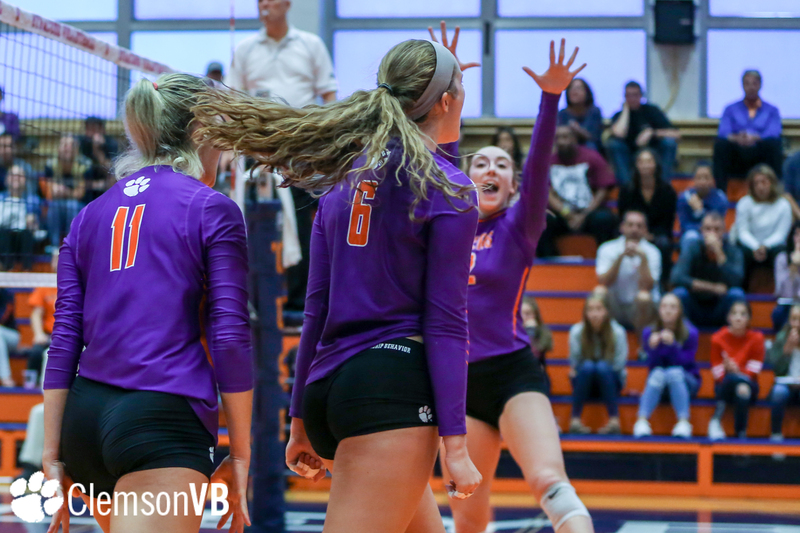 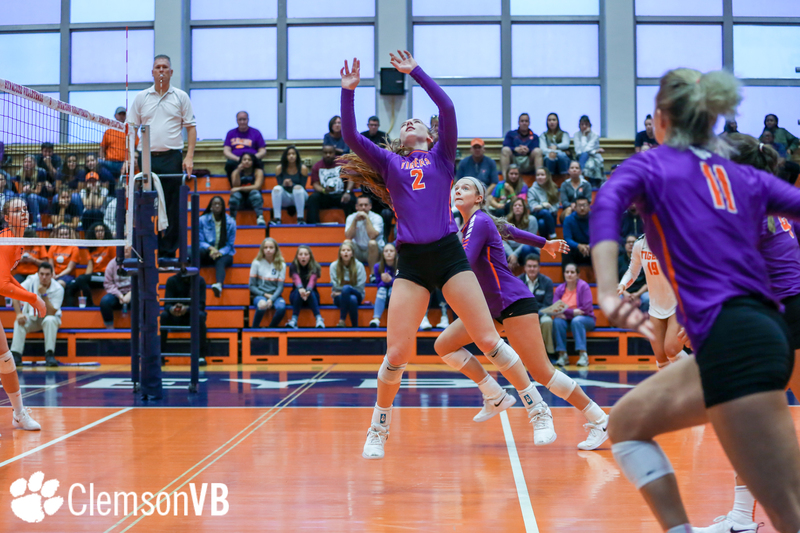 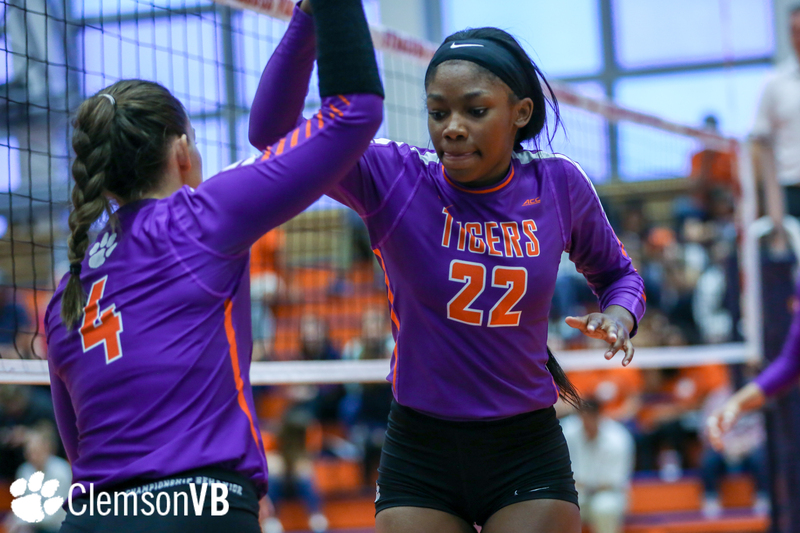 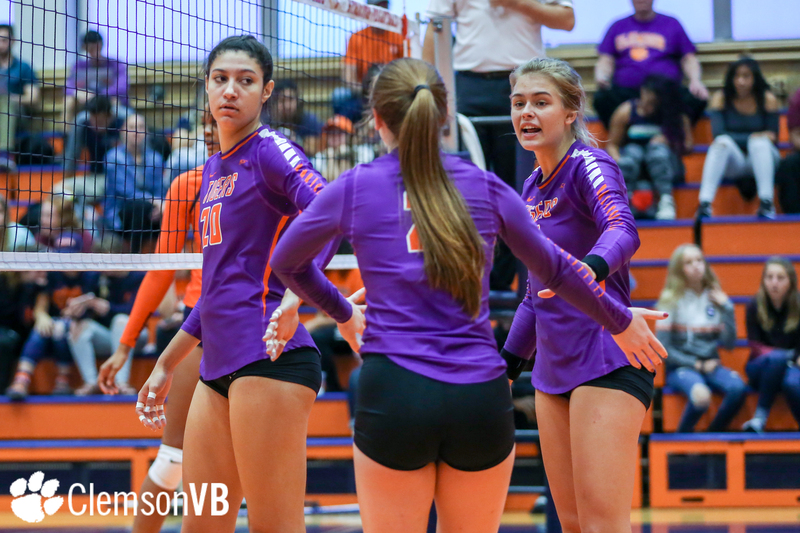 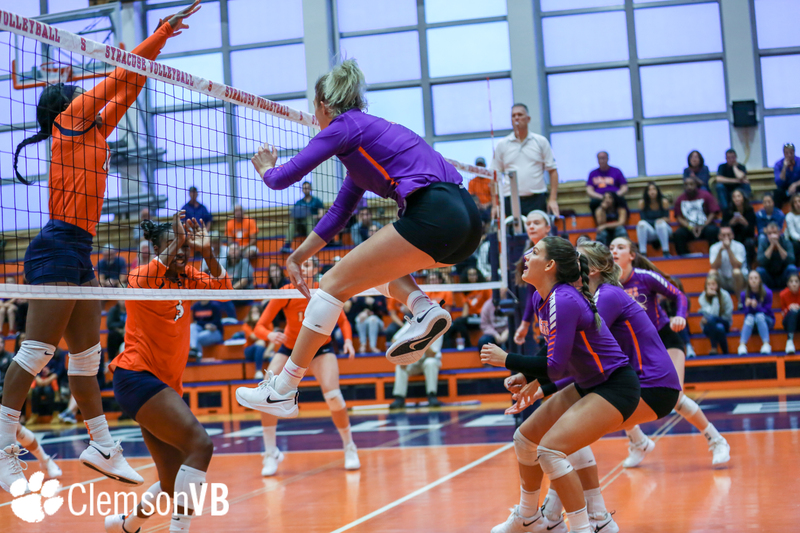 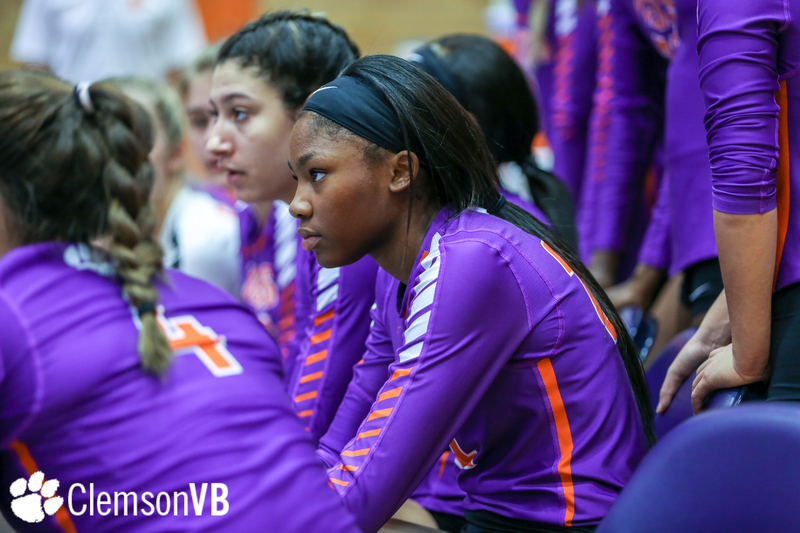 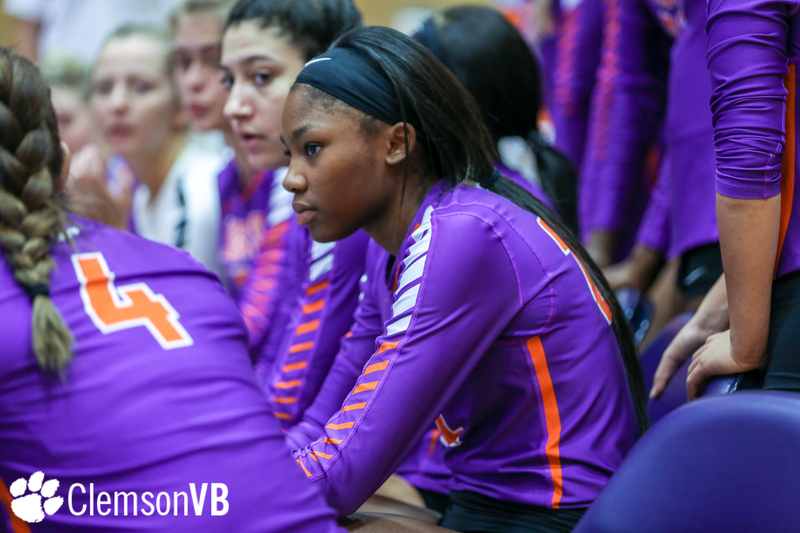 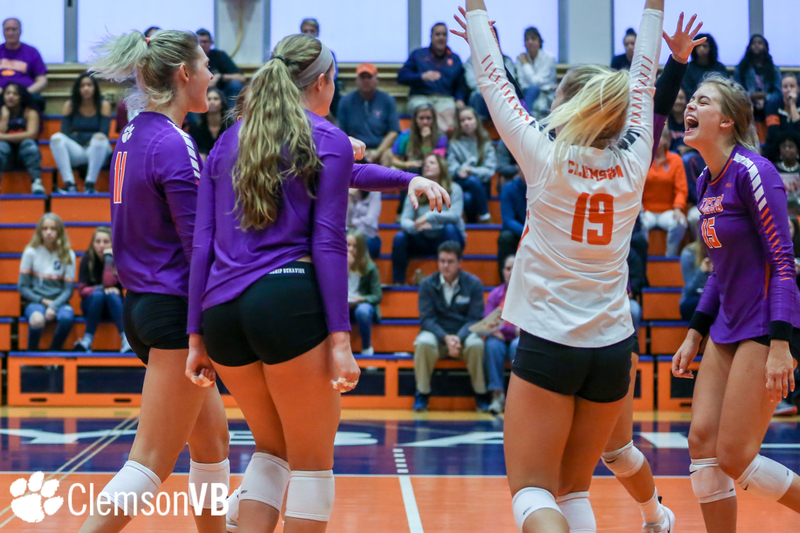 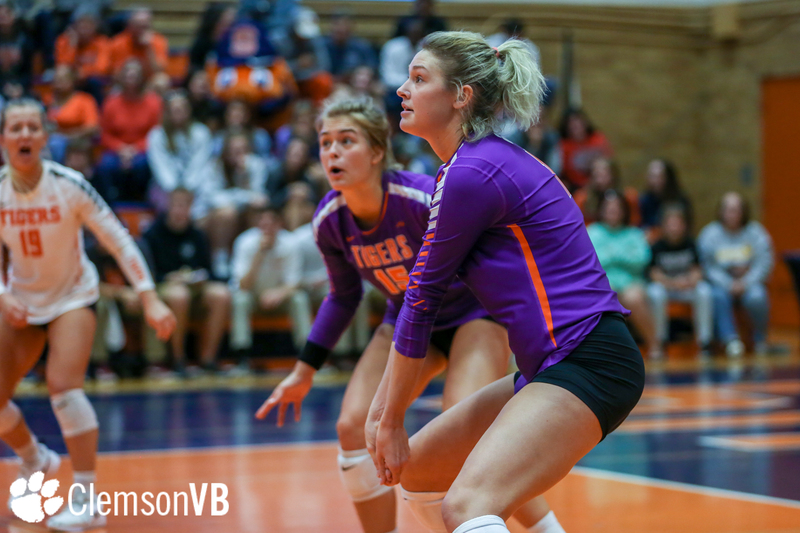 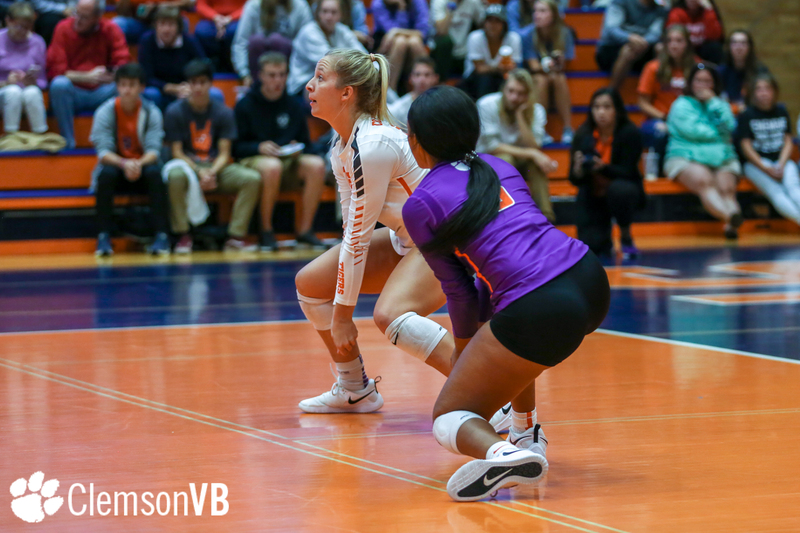 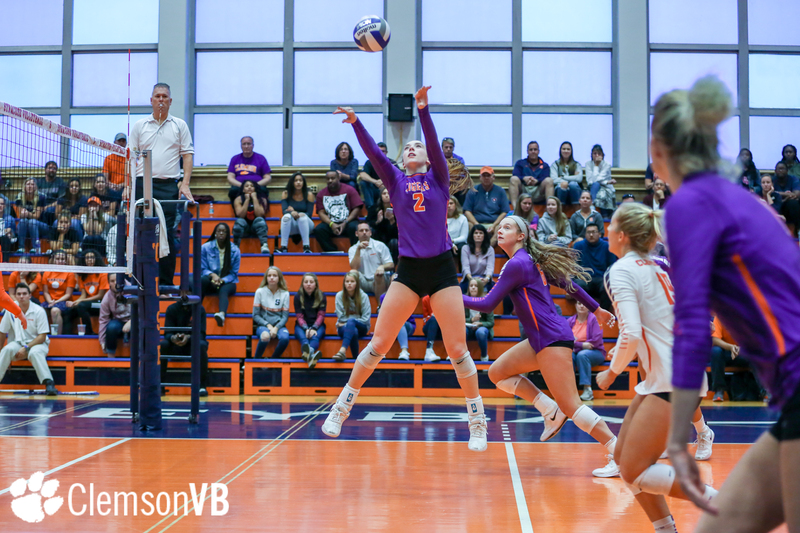 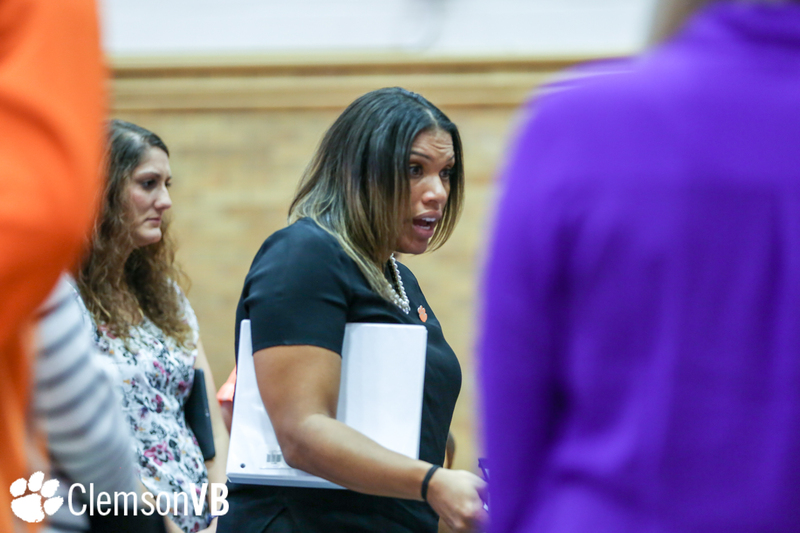 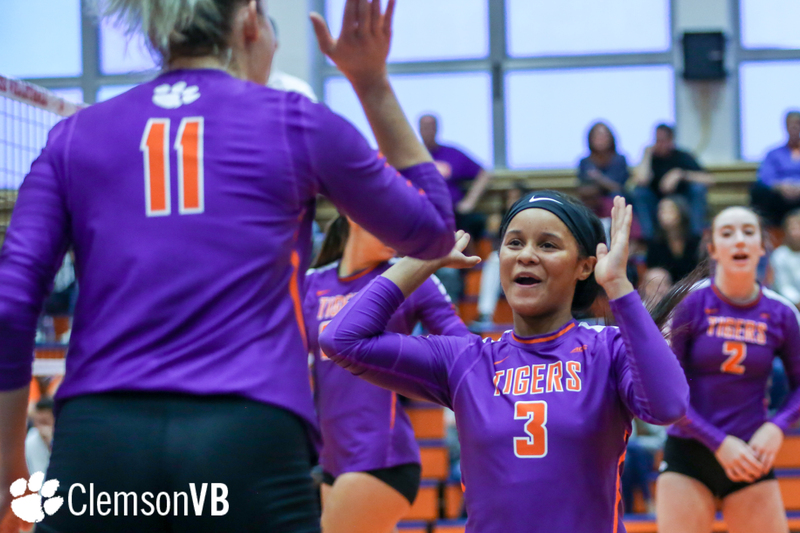 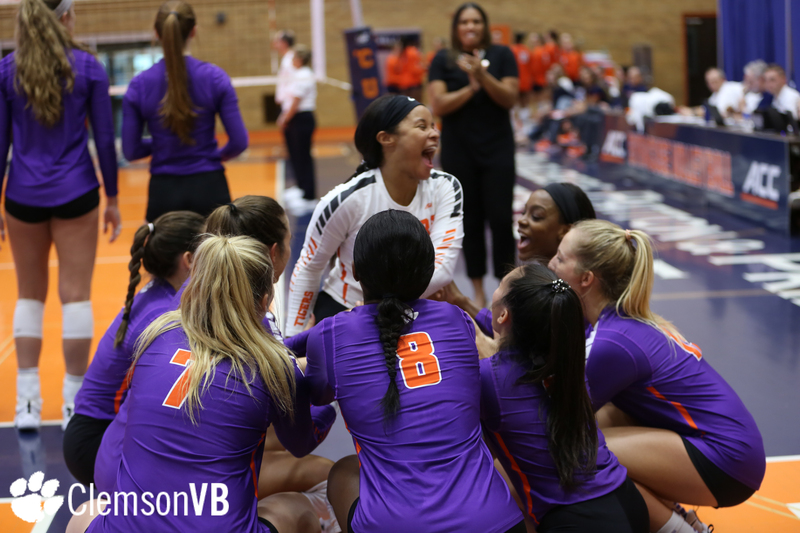 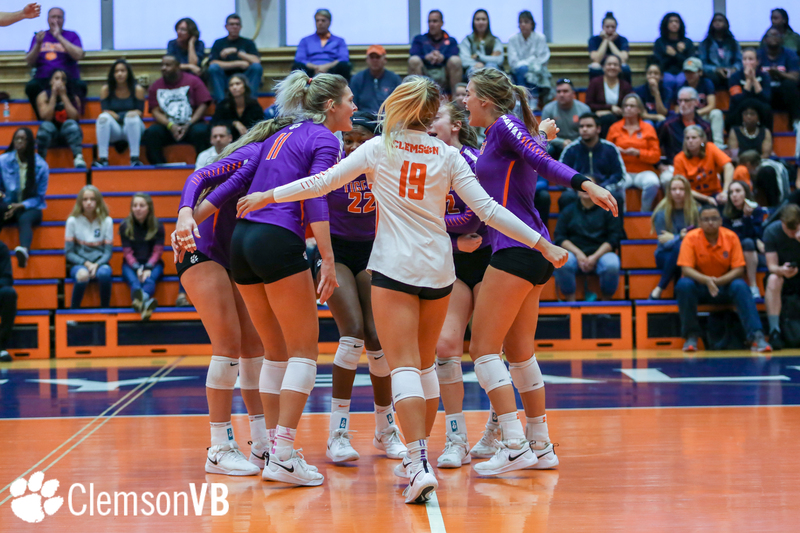 Clemson could not sustain its momentum in the fourth, despite another five-kill set from Bailey, as the Tigers dropped the set, 25-21, and match, 3-1. 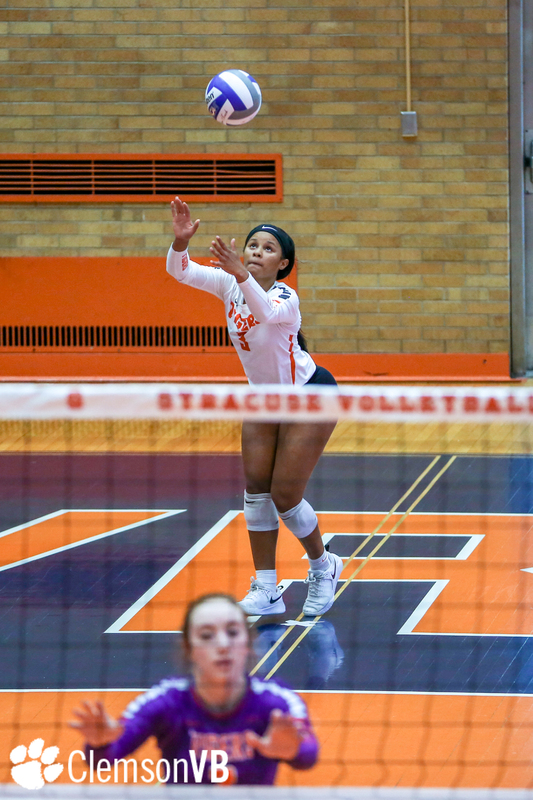 Freshman setter Gabby Easton recorded her fourth double-double of the season, contributing 41 assists and 10 digs against the Orange. 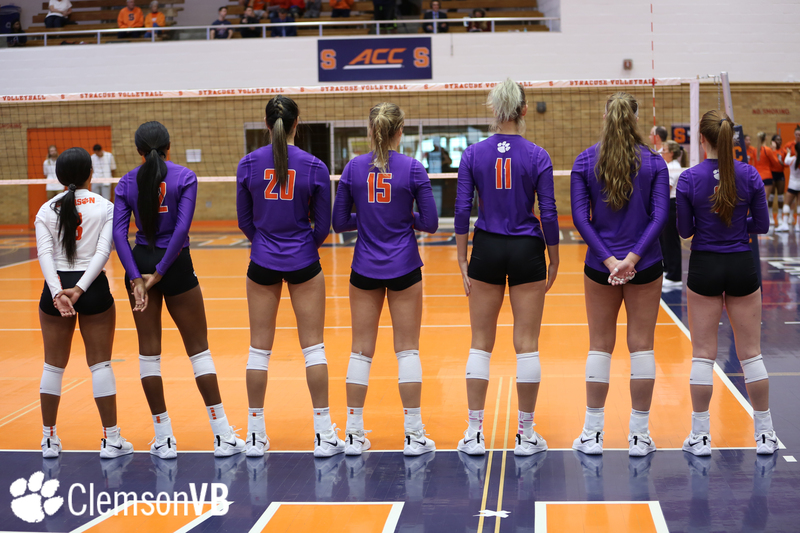 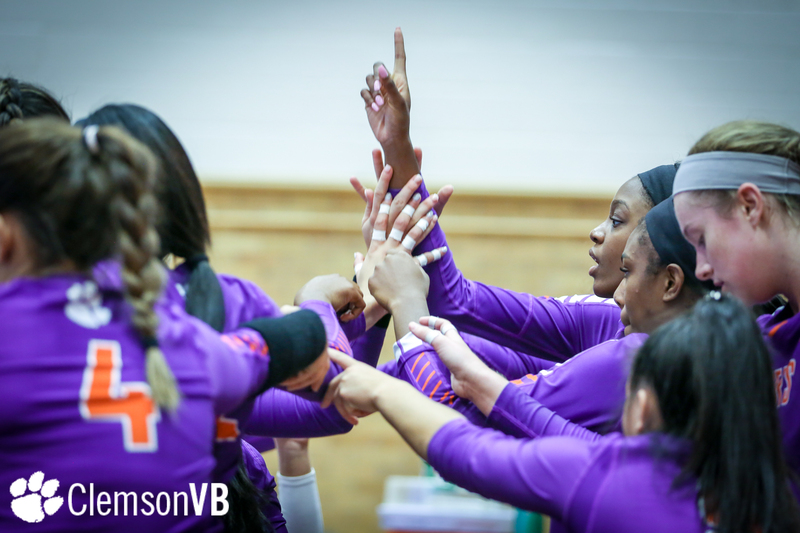 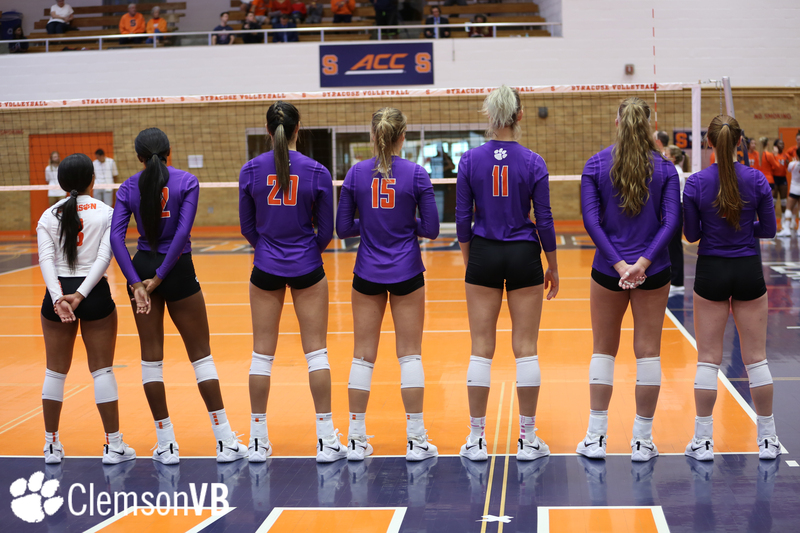 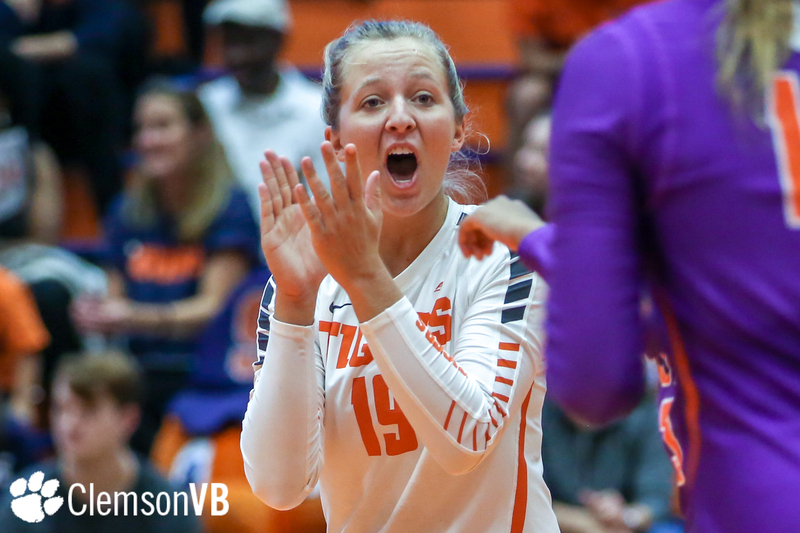 Up next, Clemson returns to Jervey Gym for its ACC home opener against Notre Dame Friday, Sept. 28 at 7 p.m.